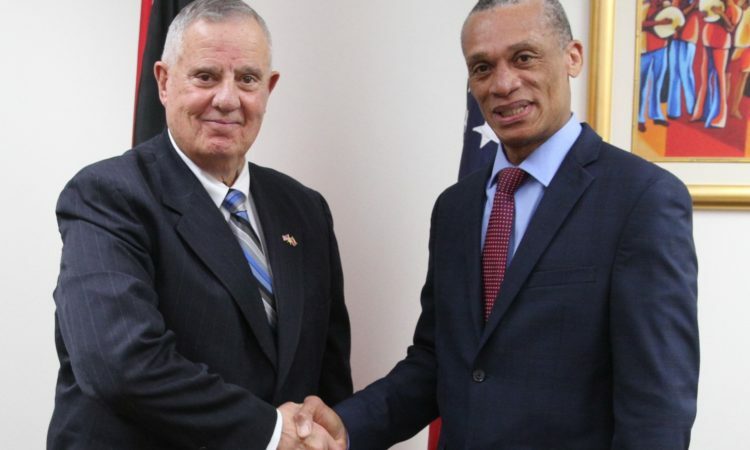 The United States Agency for International Development (USAID) has made available US$1.6 million to the people of Trinidad and Tobago to assist Venezuelans fleeing their homeland. 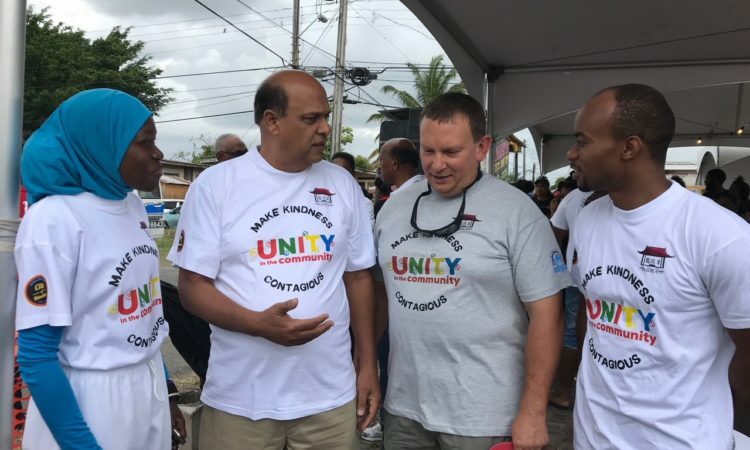 I honestly believe, hopefully this is the way of the future when religions band together, bring people together, so tragedies like we experienced will not happen. 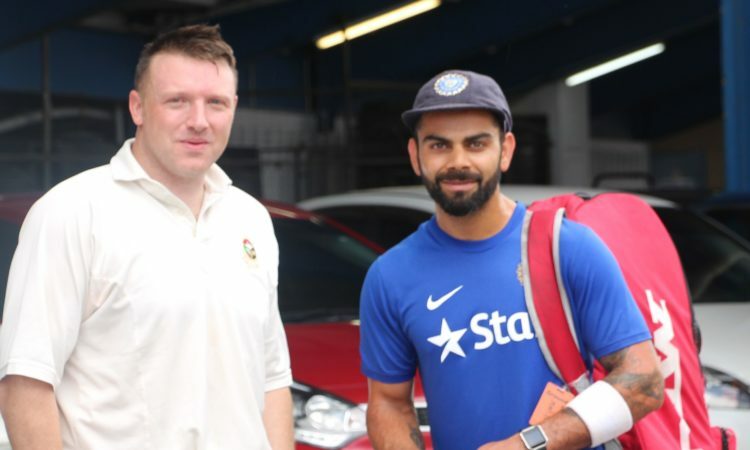 You have to tell the consular officer what those ties are during the visa interview. 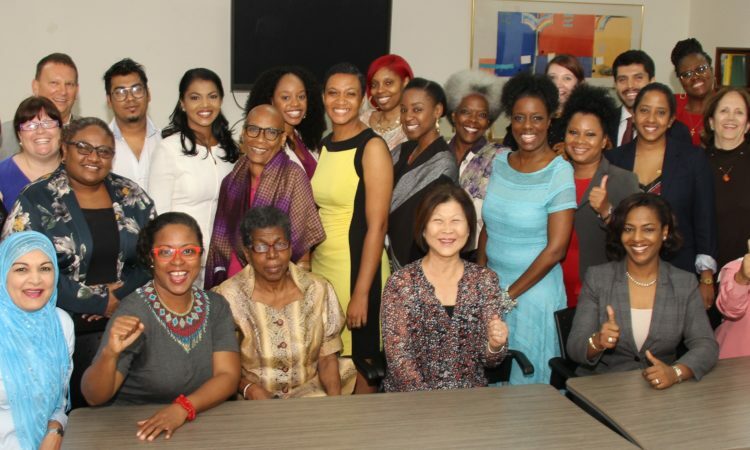 Examples of ties are the economic, familial, social, and other aspects of your life that call you back home. 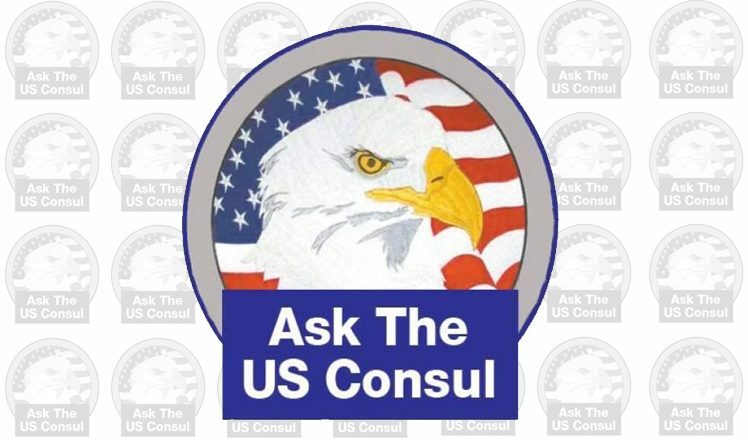 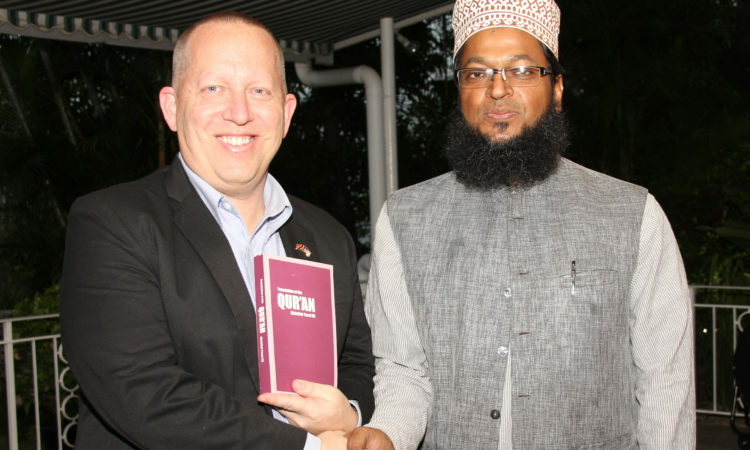 Consular officers consider family relationships, employment, finances, and possessions among other factors. 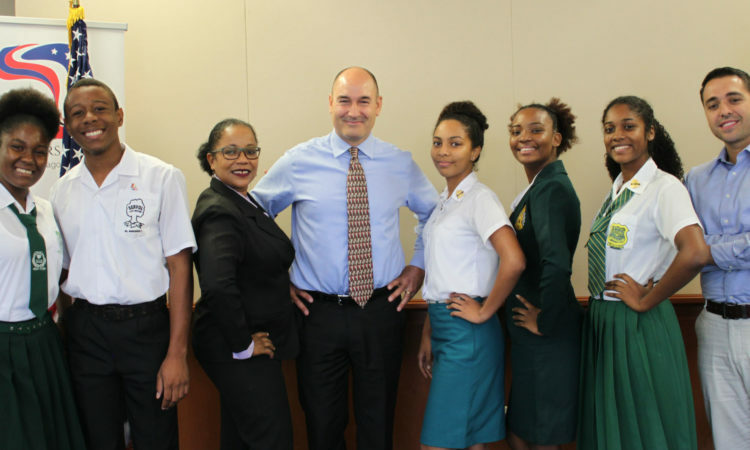 Ambassador Mondello reminded the debate team members neither success nor failure are permanent, and encouraged them to continue along the positive path they have now chosen for themselves and not give up hope. 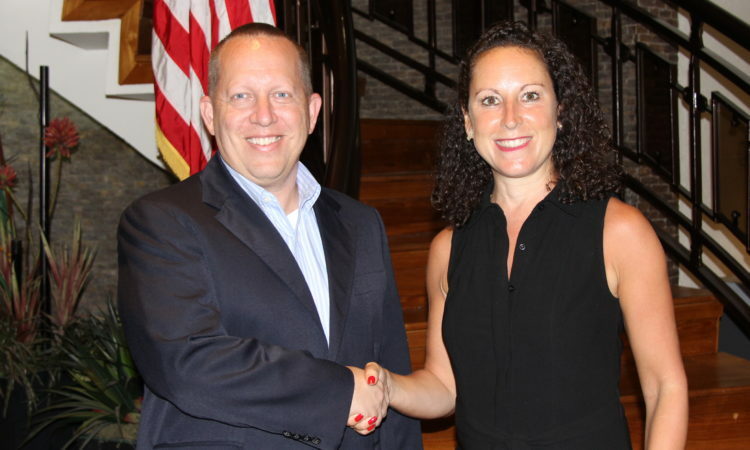 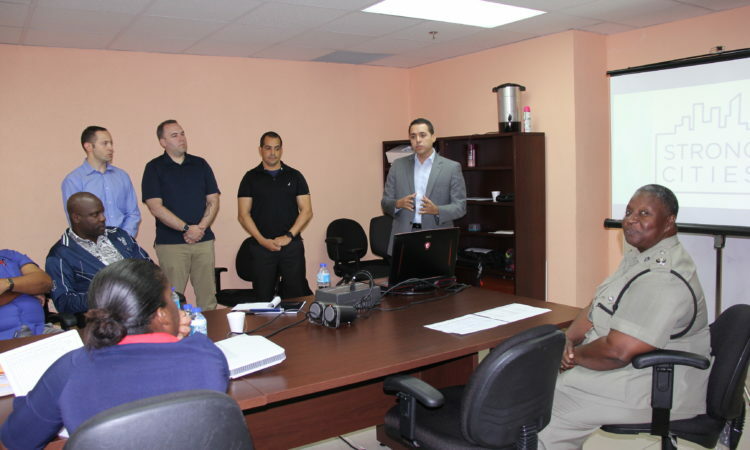 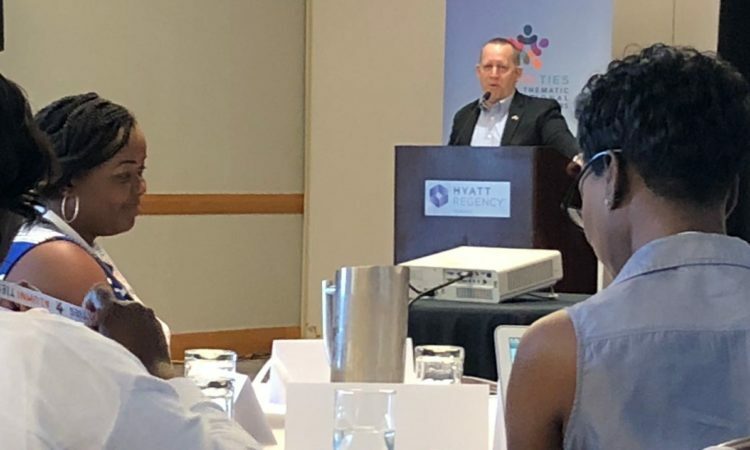 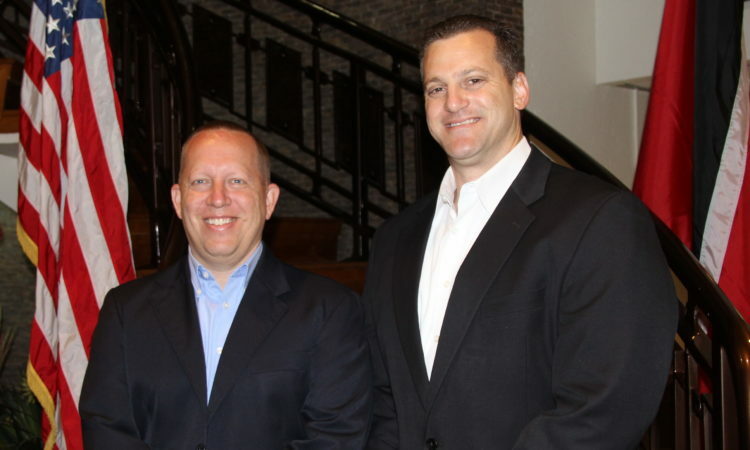 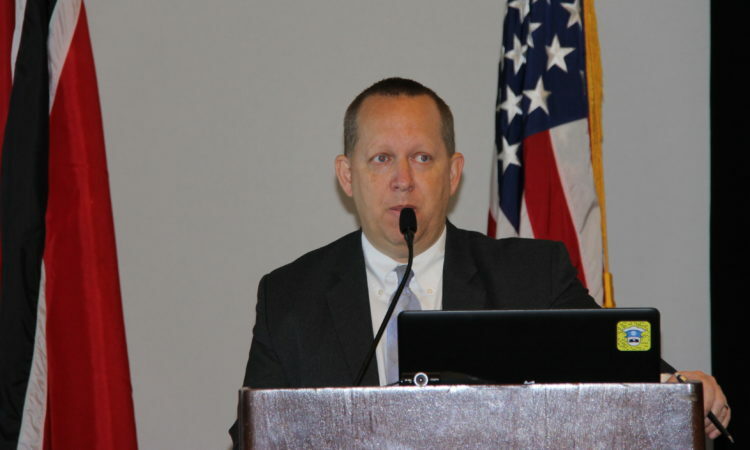 The five day SMEE covered the phases of the strategic communications process, customer service best practices, and is one of several partnership opportunities with the TTPS that builds the organizational professionalism of all involved. 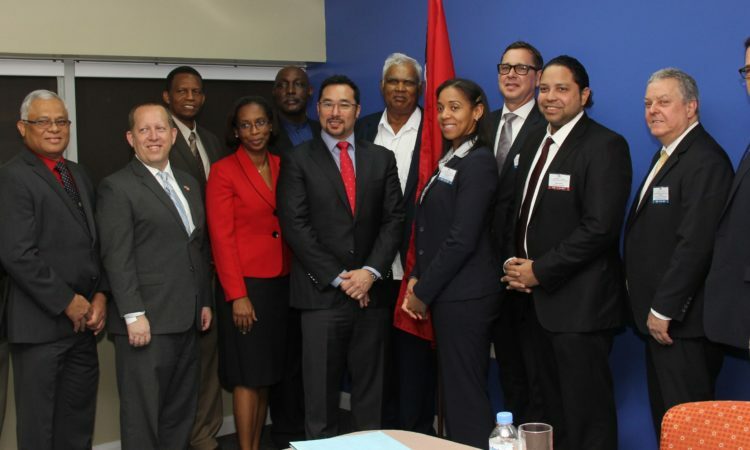 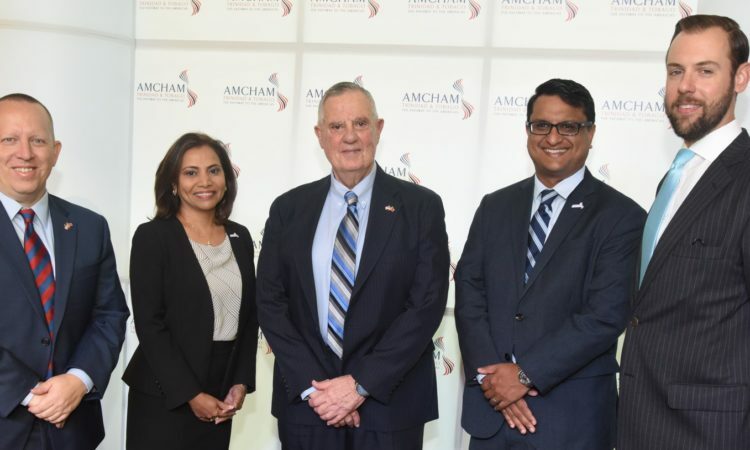 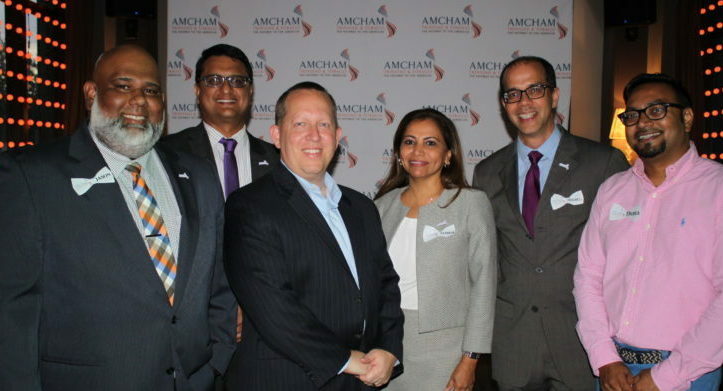 Ambassador Joseph Mondello on Thursday, February 7 met with members of the Board of the American Chamber of Commerce of Trinidad & Tobago (AMCHAM T&T), where he said increasing bilateral trade and investment was one of his top priorities as Ambassador. 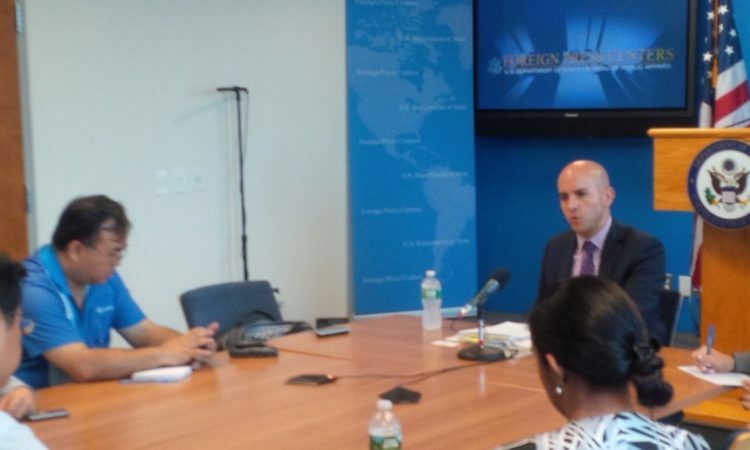 The humanitarian situation demands action now; it demands action today. 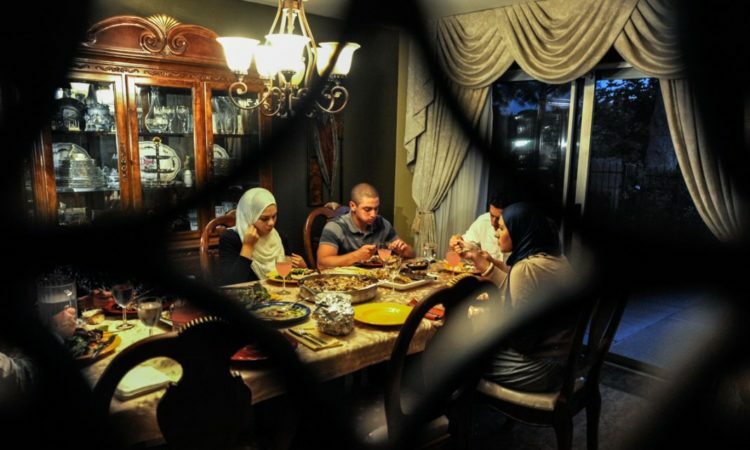 Today nine out of ten citizens live in poverty. 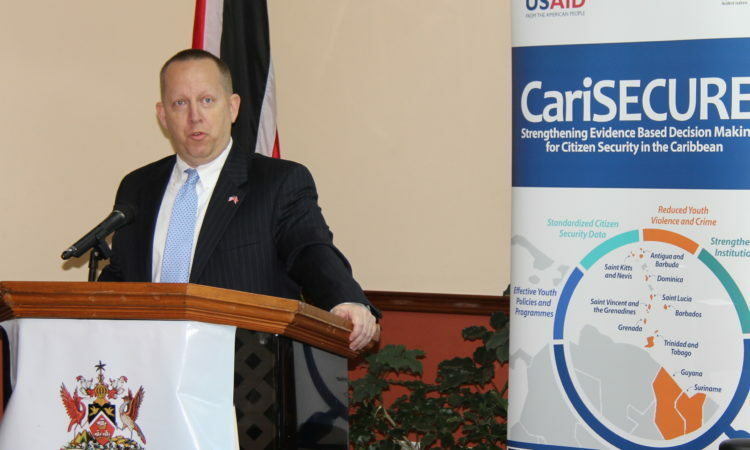 Millions lack access to drinking water and food. 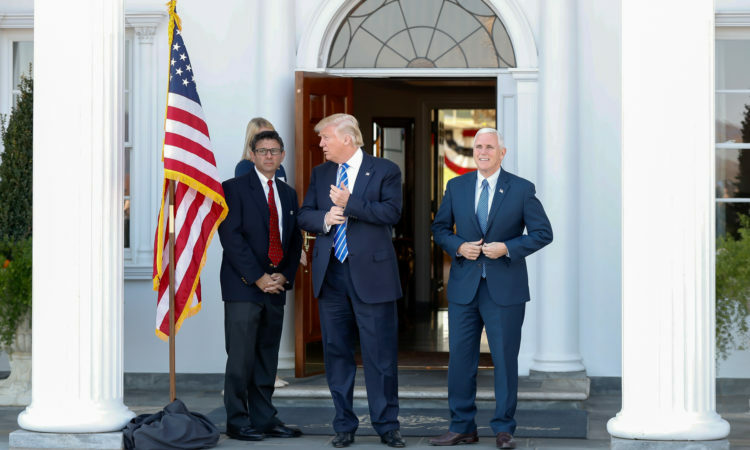 The former Maduro regime has oppressed its people for years, forcing millions of Venezuelans to flee the country merely to gain very basic access to food and water. 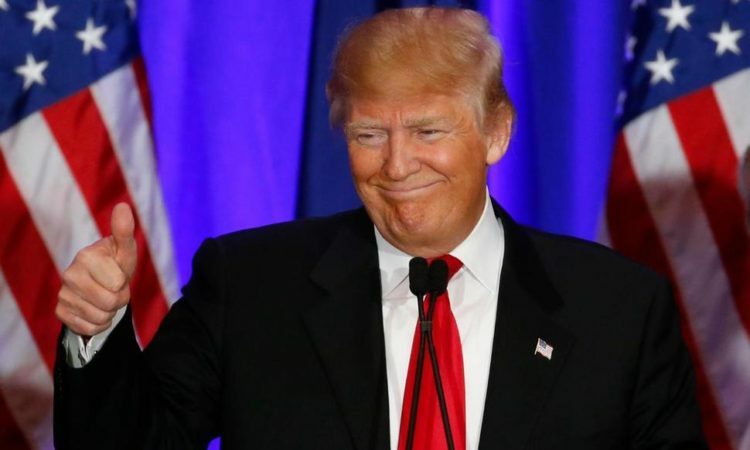 The United States of America is currently in a Lapse of Appropriations period starting Saturday, December 22, 2018. 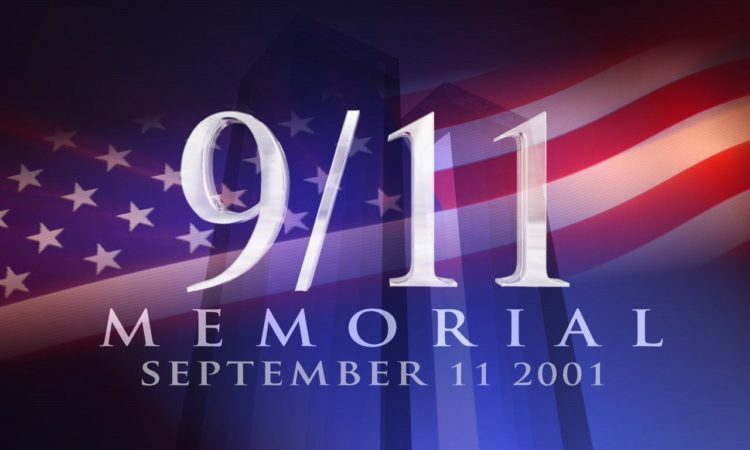 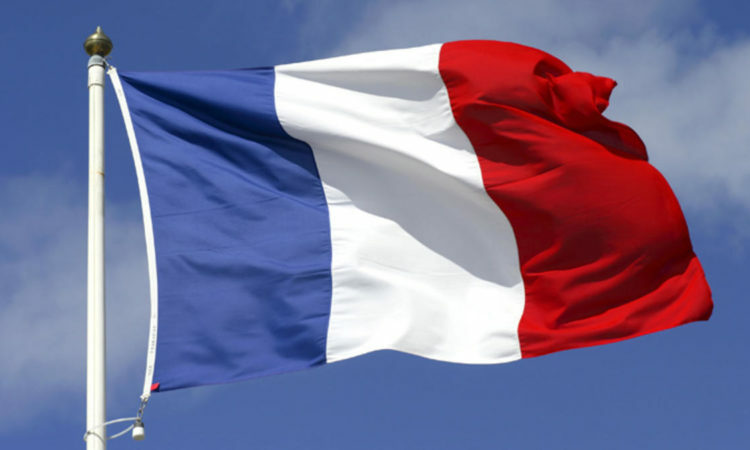 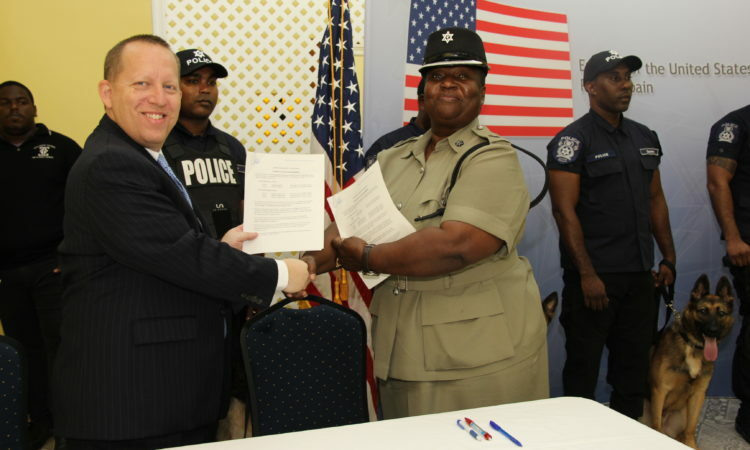 The Consular Section will be open for scheduled passport and visas services, and emergency services for U.S. citizens. 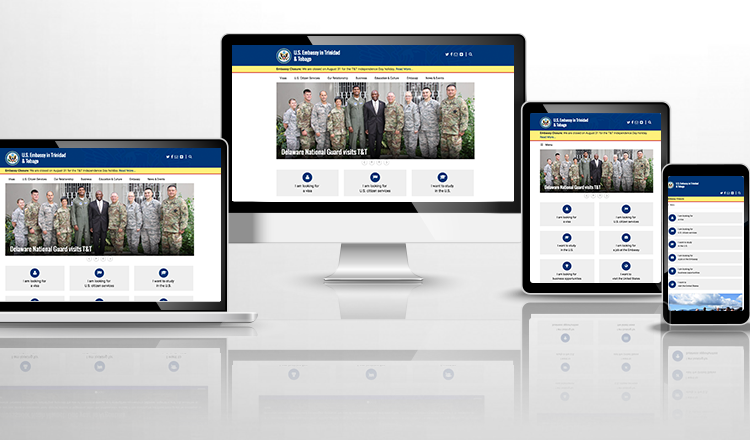 We will not be updating this website regularly, except in the event of an emergency. 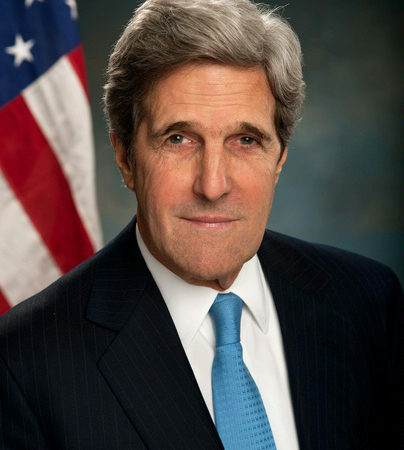 Please visit @stateDept on Twitter for updates. 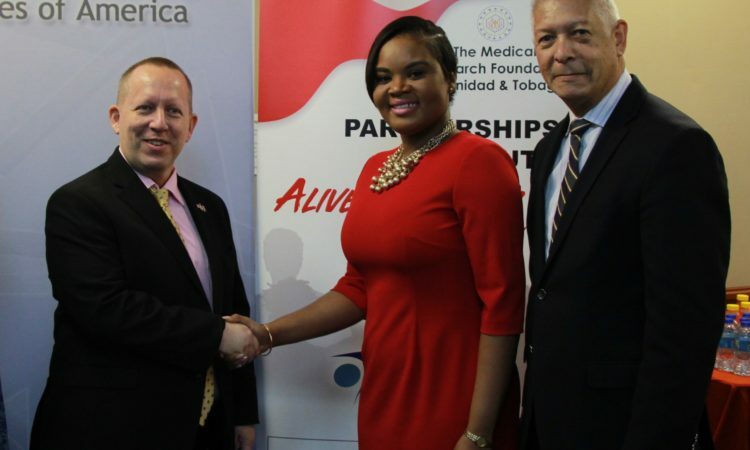 This important initiative leverages the power of public-private partnerships to address the challenges impacting our youth living with HIV. 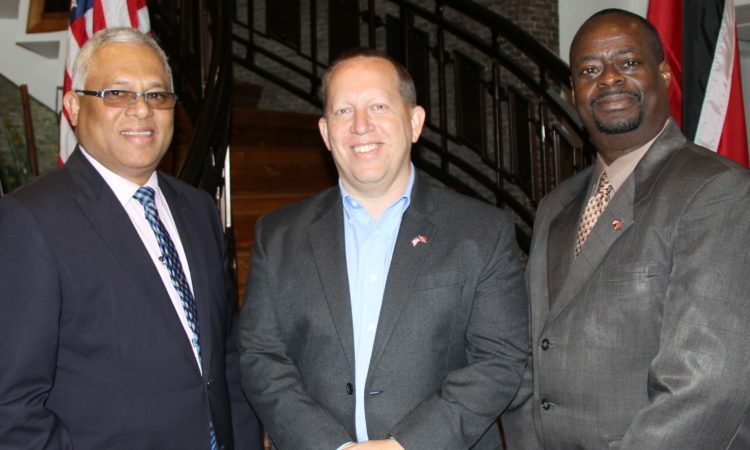 Prior to the arrival of Ambassador Joseph Mondello in mid-October, U.S. Embassy Chargé d’Affaires John McIntyre toured deep South as part of the U.S. Embassy commitment to local and regional engagement. 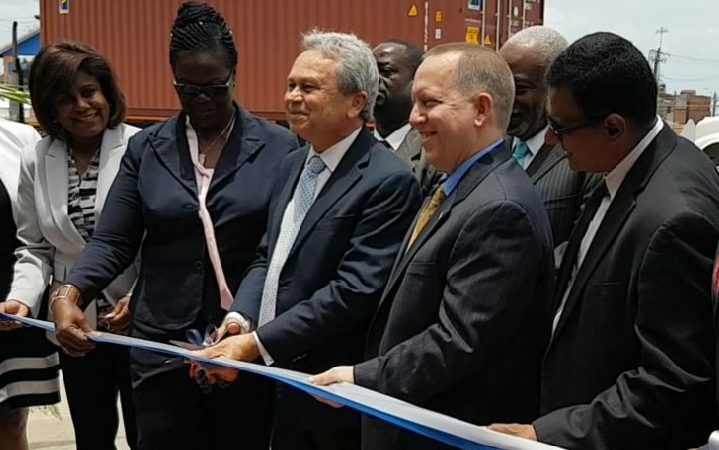 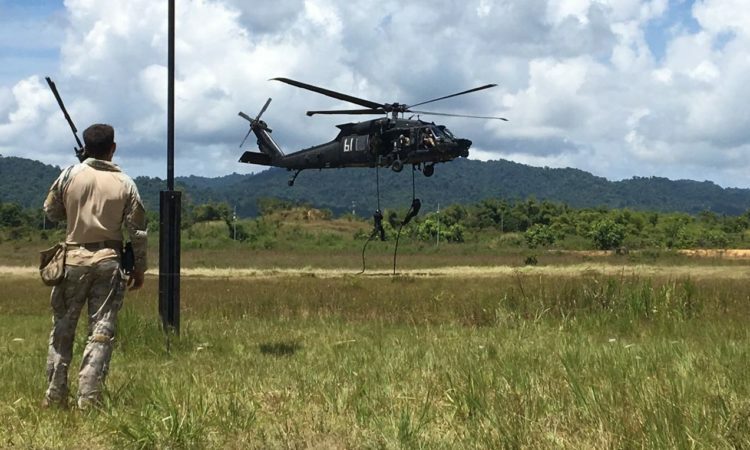 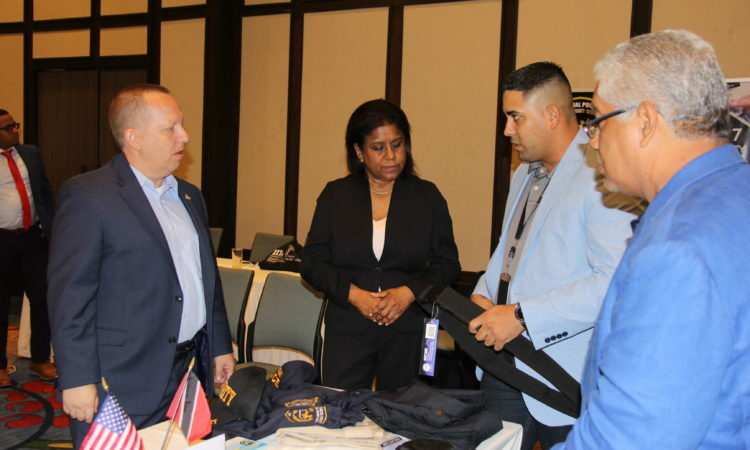 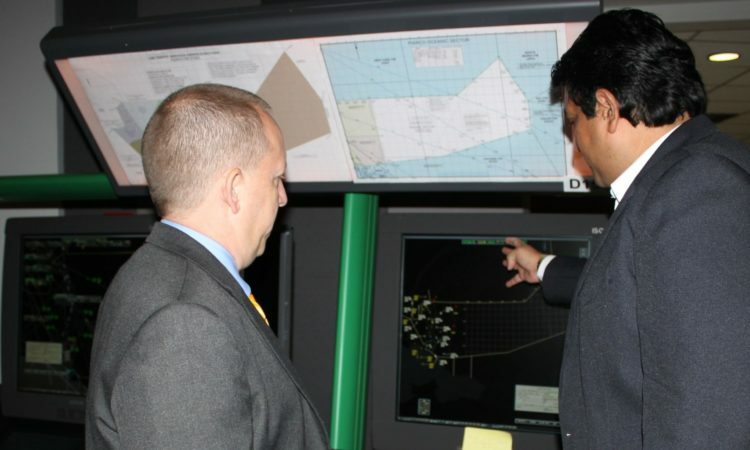 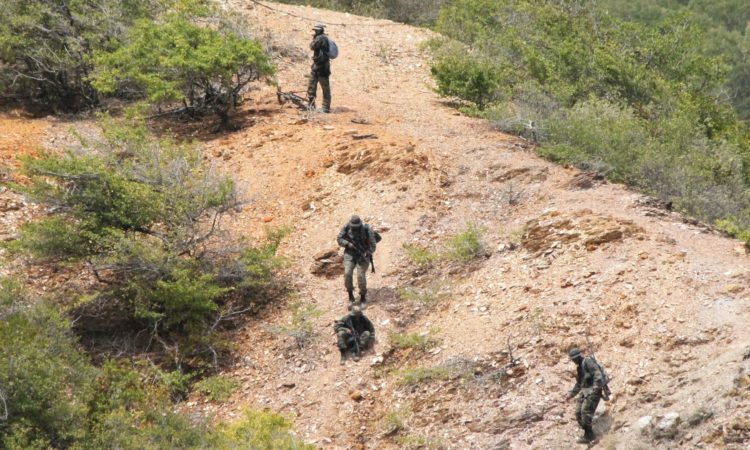 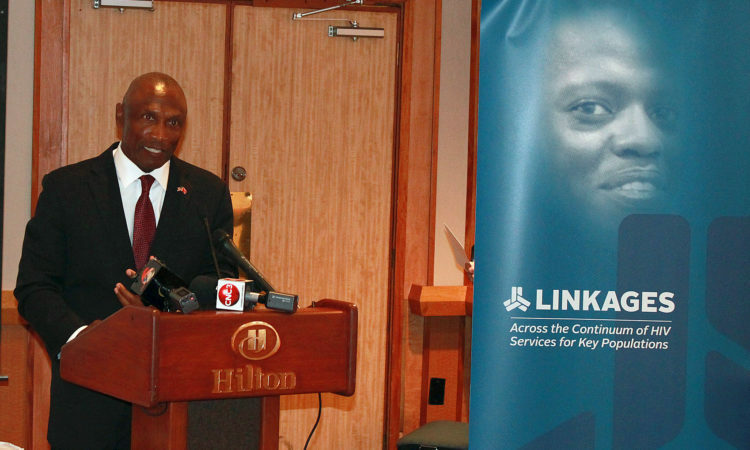 This important equipment is just one part of the U.S. Government’s commitment to assisting in securing T&T’s ports and borders, as well as combatting transnational crime network. 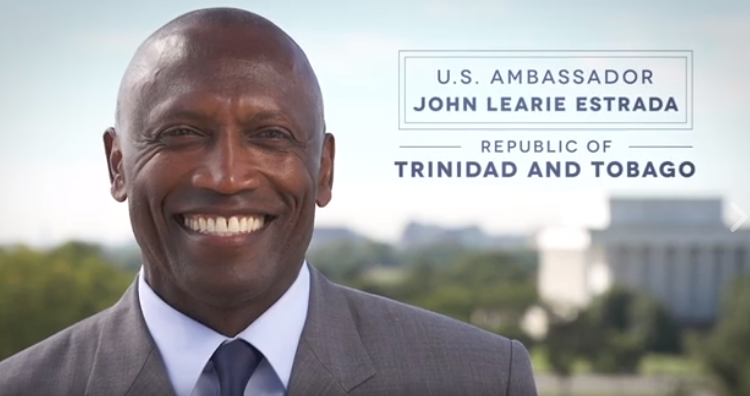 On behalf of the people of the United States of America, my warmest congratulations to the people of Trinidad and Tobago as you celebrate 56 years of independence on August 31. 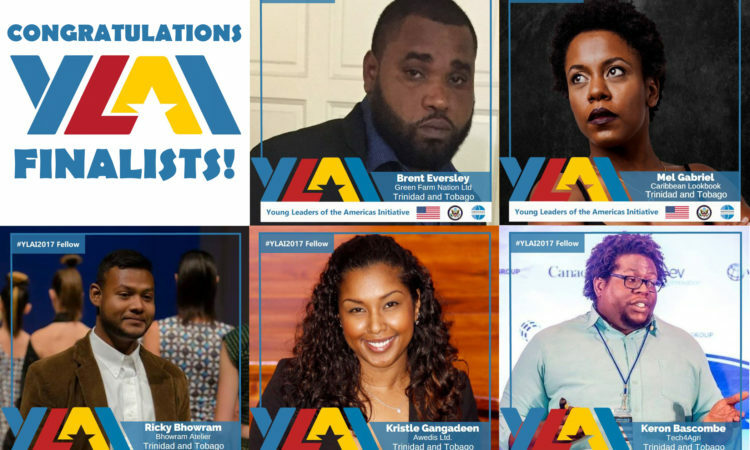 The U.S. Embassy is proud to announce the 2018 cohort from Trinidad and Tobago for the Young Leaders of the Americas Initiative (YLAI) Professional Fellows Program. 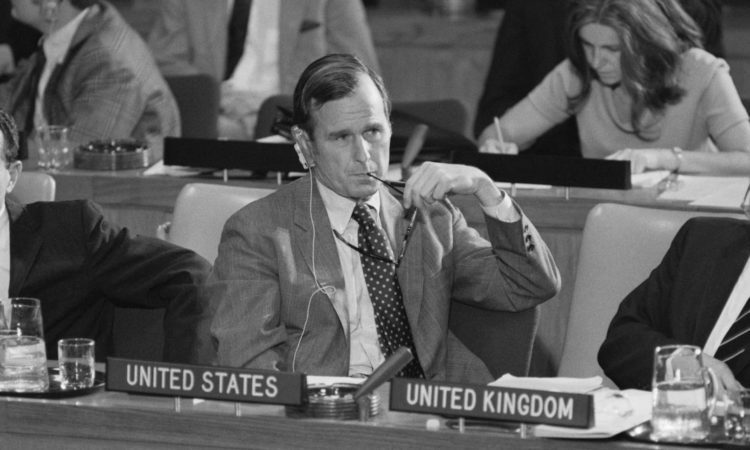 I will be blunt. 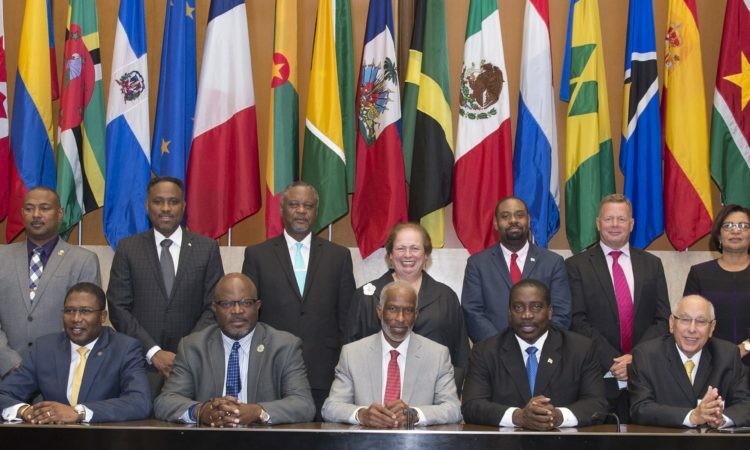 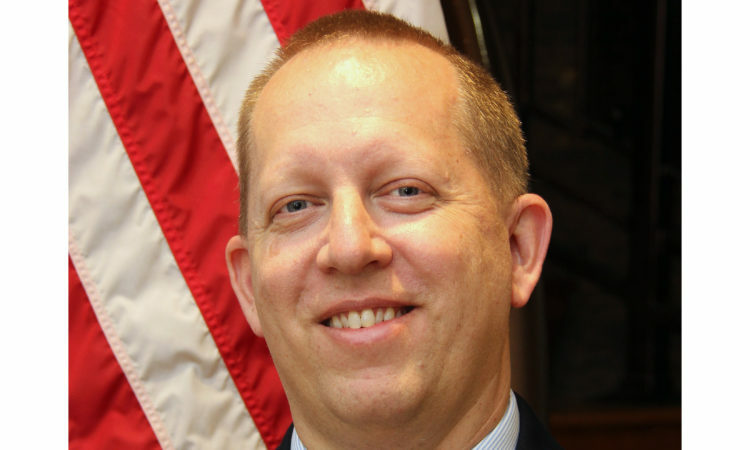 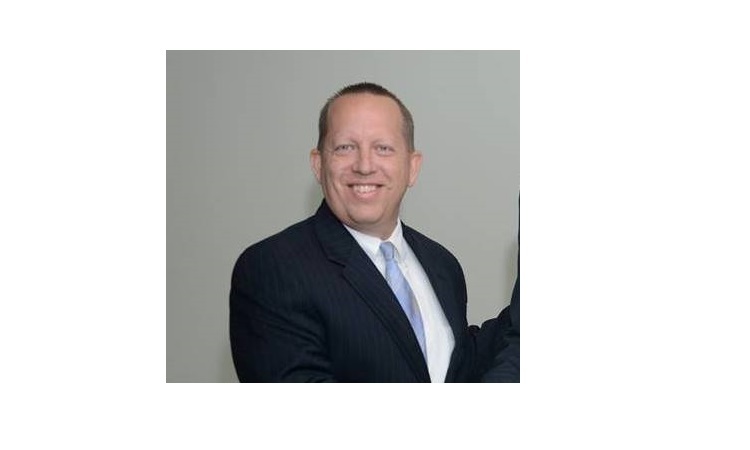 Mr. Williams and the TTFA just flat out dropped the ball on the visa process. 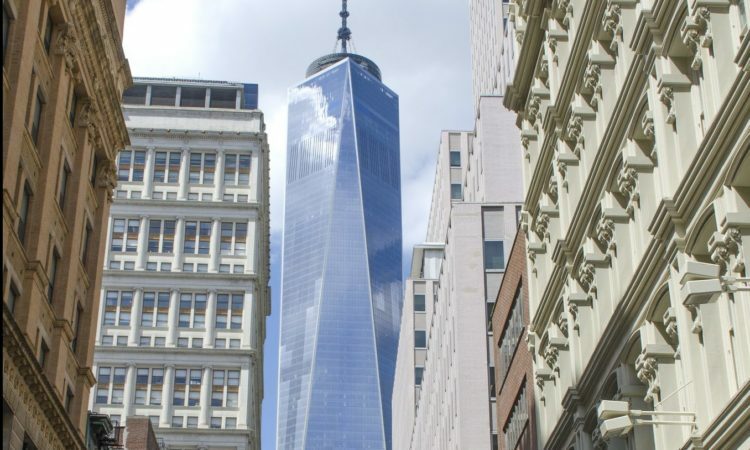 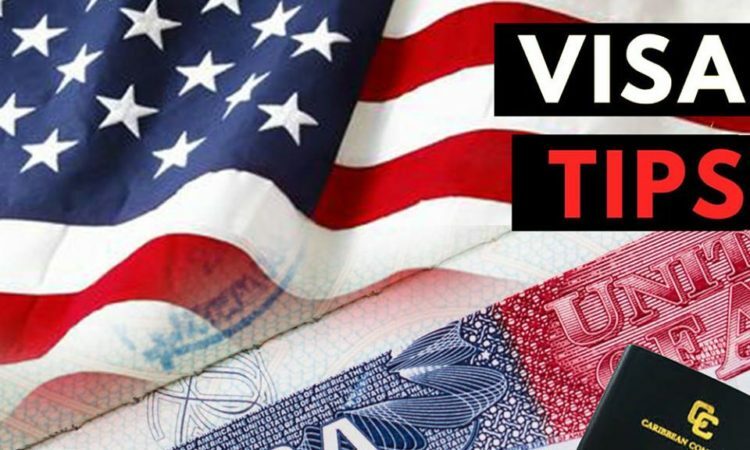 In most cases, obtaining an immigrant visa starts with the filing of a petition on behalf of the applicant by a family member in the United States. 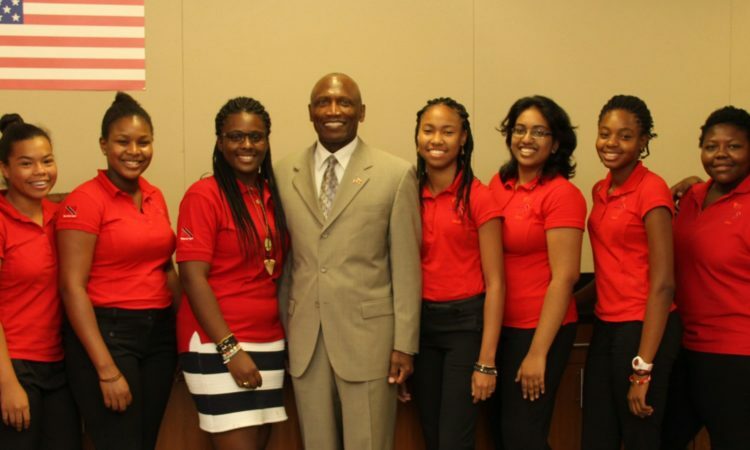 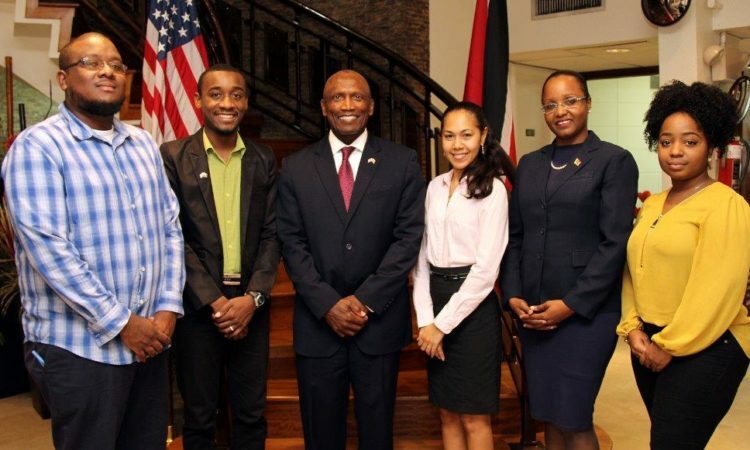 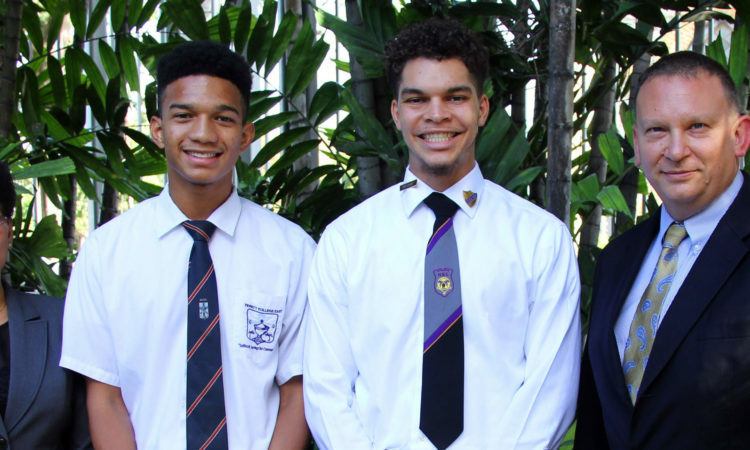 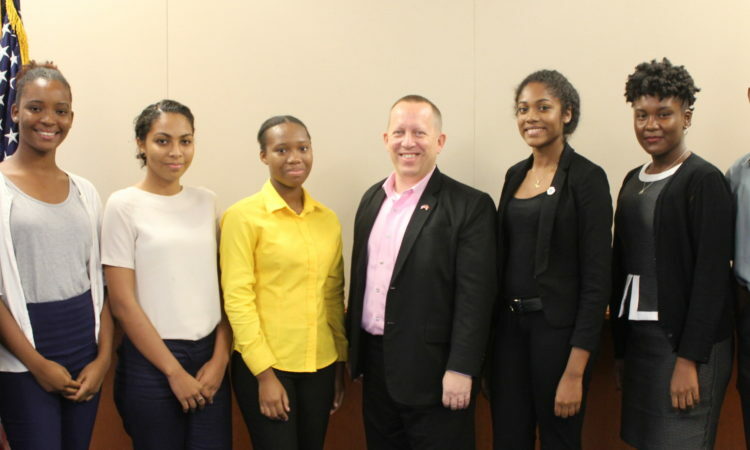 Six participants and a mentor will depart Trinidad and Tobago later this month for the U.S. to participate in the 2018 Youth Ambassadors program. 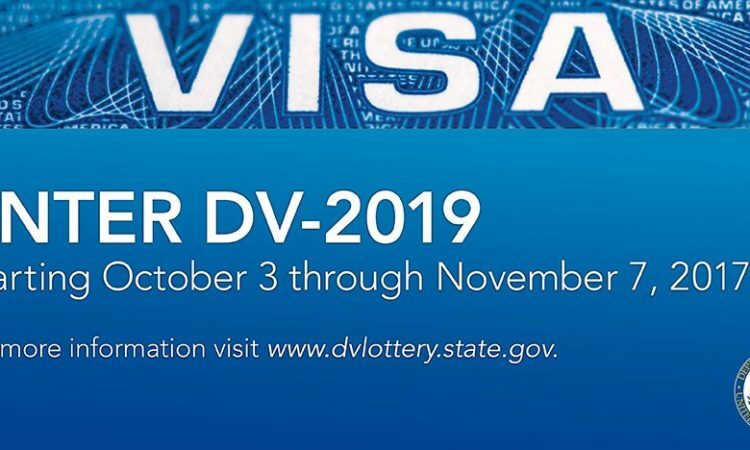 Visa applicants sometimes confuse the emergency nature or purpose of their travel with the type of visa they are actually seeking. 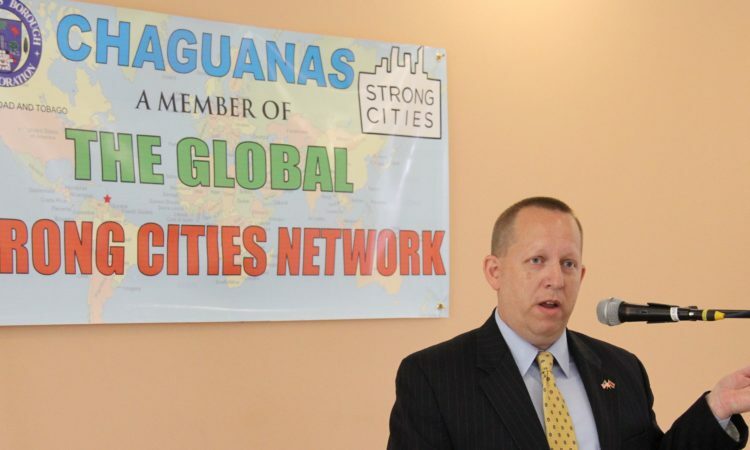 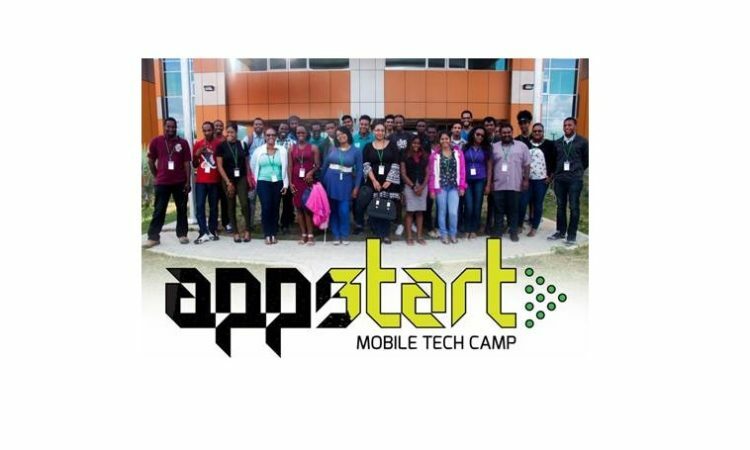 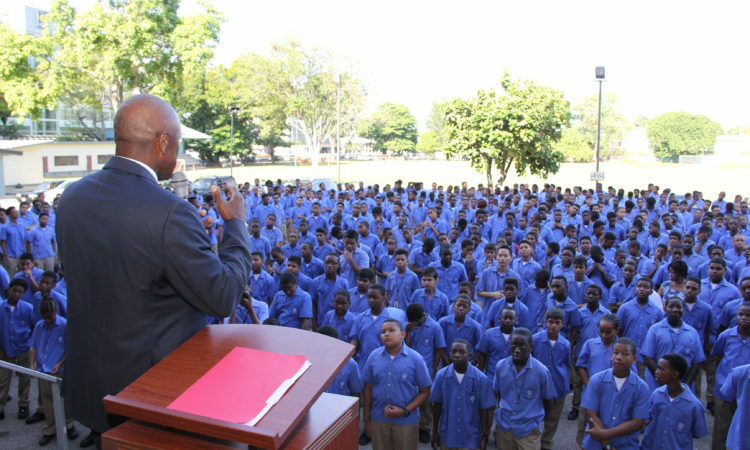 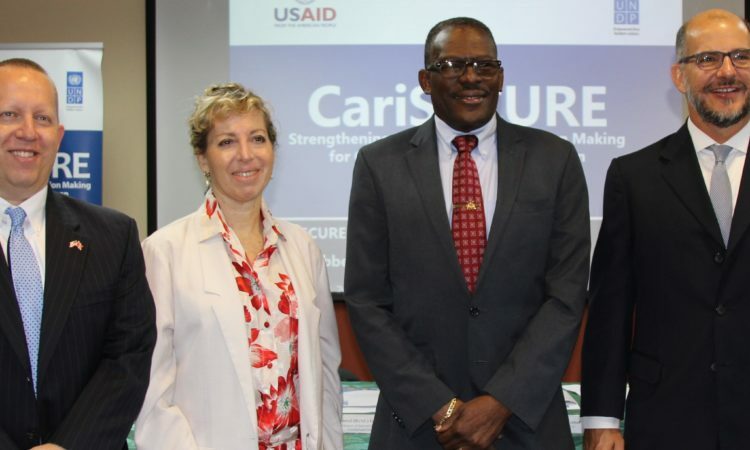 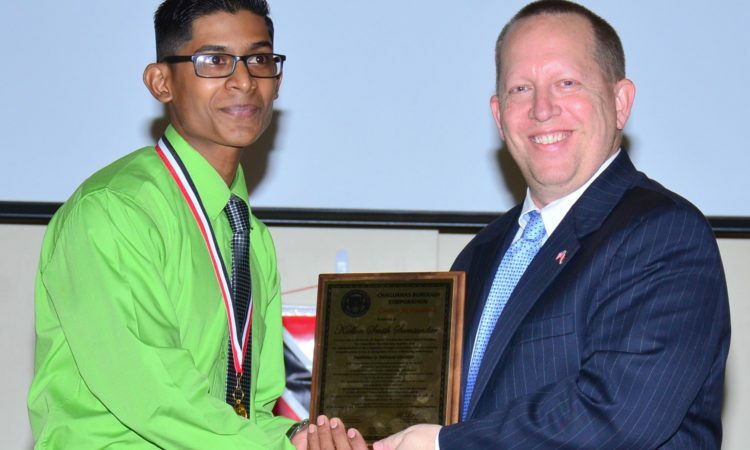 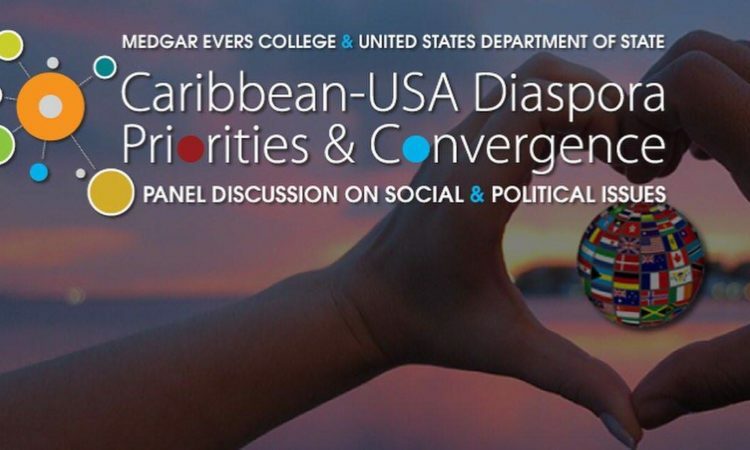 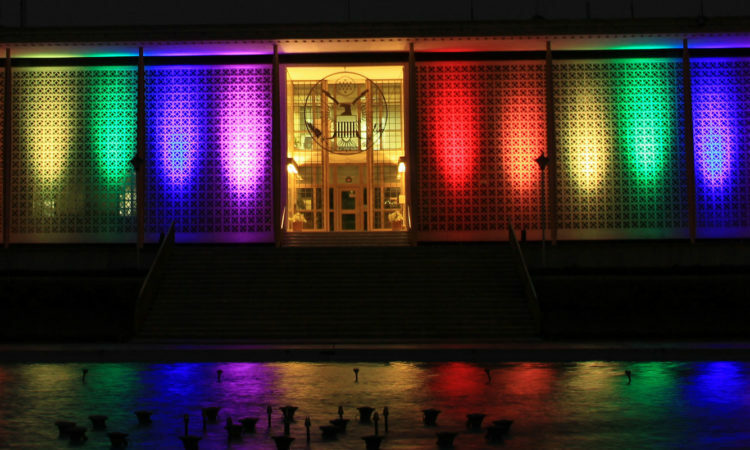 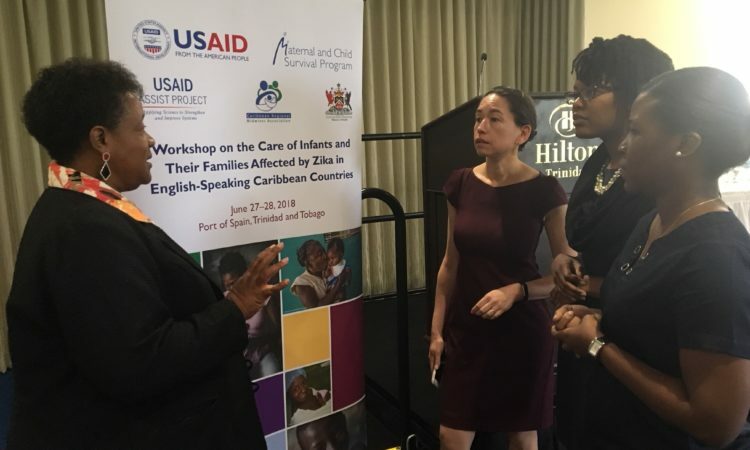 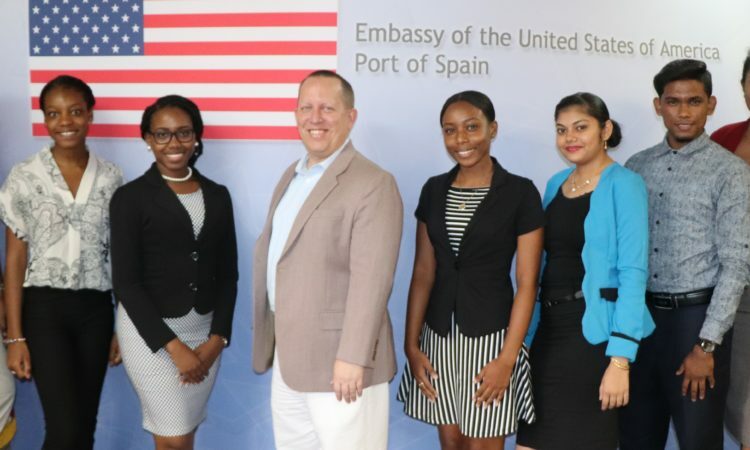 By U.S. Embassy Port of Spain | 8 May, 2018 | Topics: Education, News, Press Releases, Scholarships and Exchanges, Science & Tech, Study in the U.S. 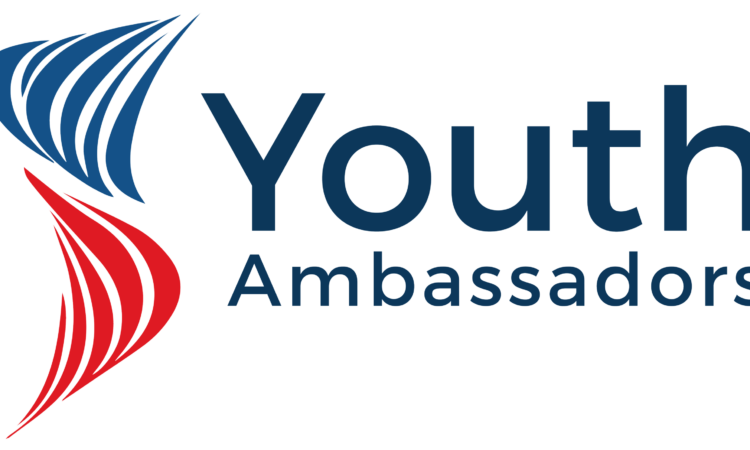 Applications are invited for the 2018 Youth Ambassadors Program. 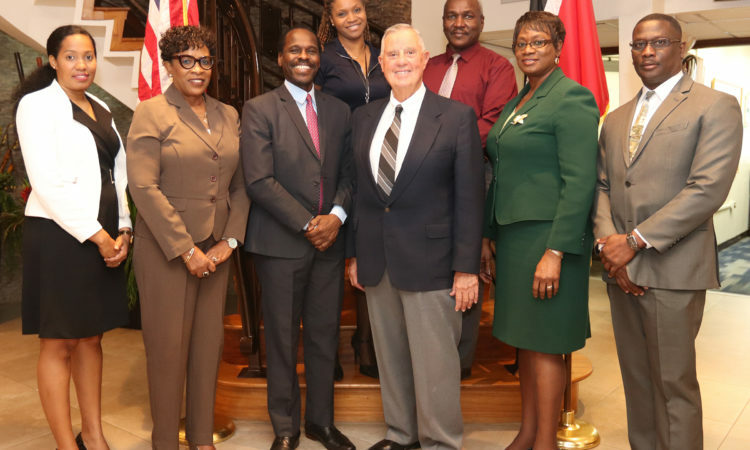 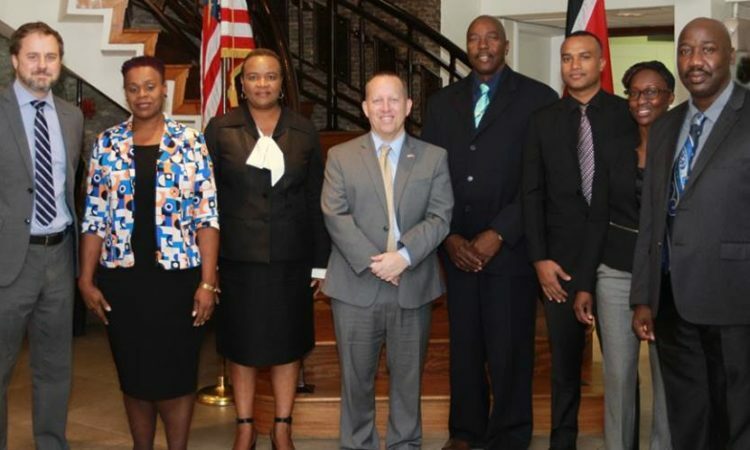 Six students between the ages 15-18 years and one adult mentor will be selected to participate in the three-week exchange program to be held August 7-29, 2018 in the U.S.
THA Chief Secretary Kelvin Charles, second from right, greets U.S. Embassy’s Liaison to Tobago Kevin Ogley. 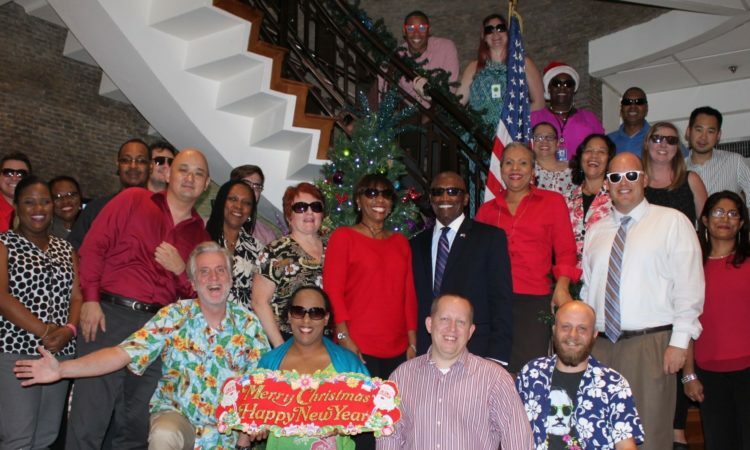 The Embassy is closed on Monday, February 12 and Tuesday, February 13 for Carnival in Trinidad and Tobago. 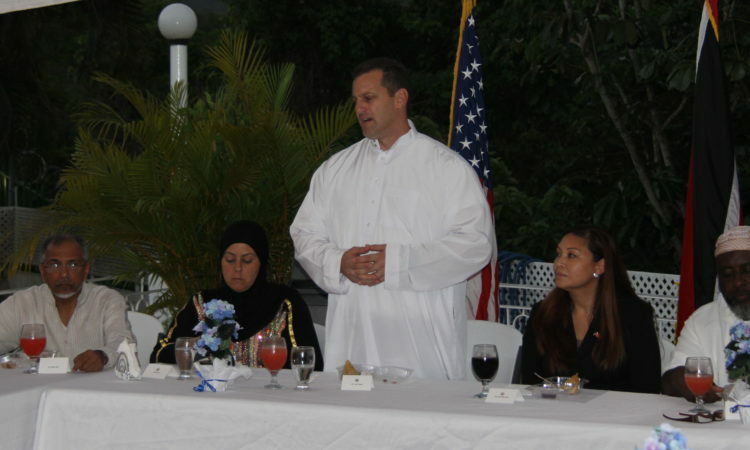 We reopen on Ash Wednesday, February 14. 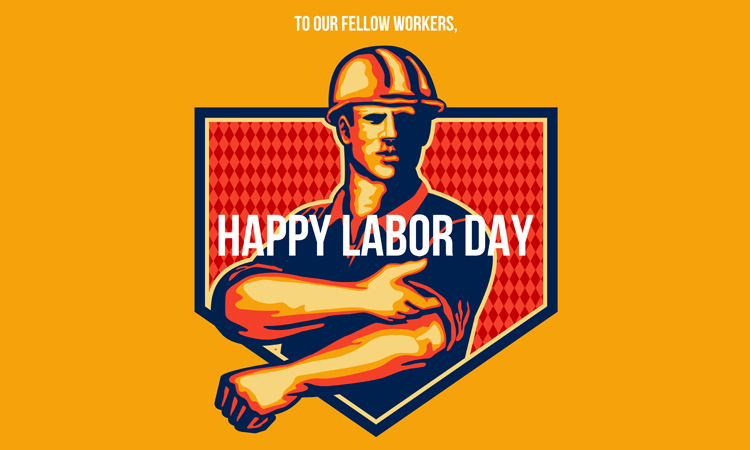 Have a safe and enjoyable Carnival! 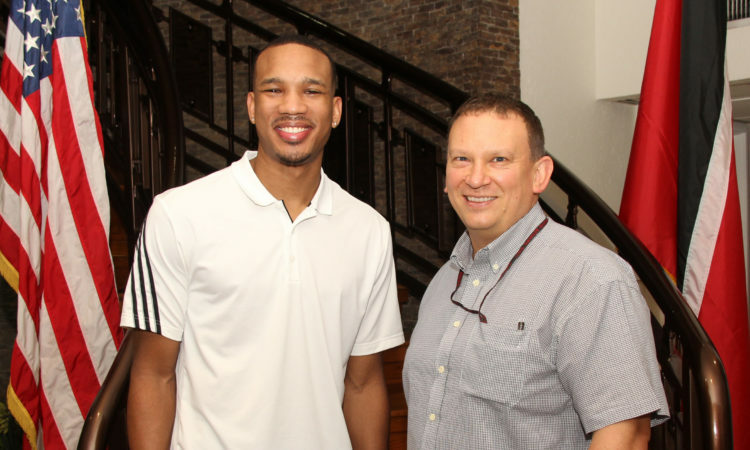 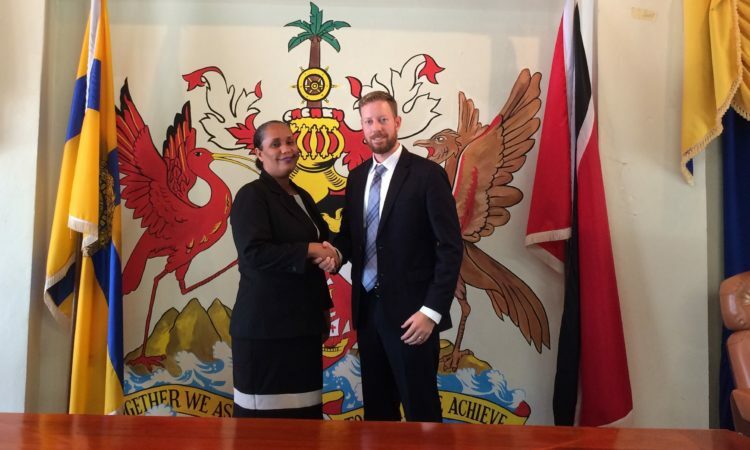 Chargé d’Affaires John W. McIntyre yesterday received a courtesy call from Minister of Sport and Youth Affairs Darryl Smith. 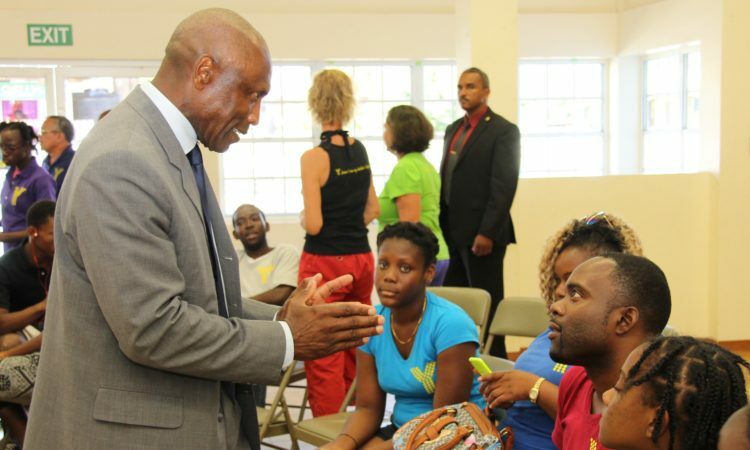 The discussion focused sport diplomacy. 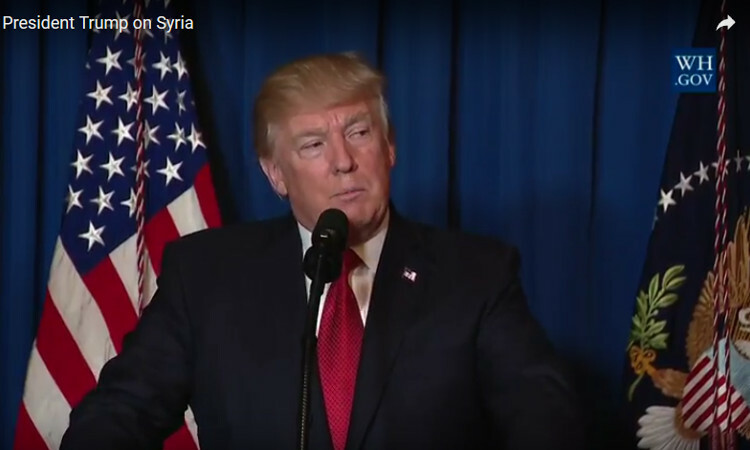 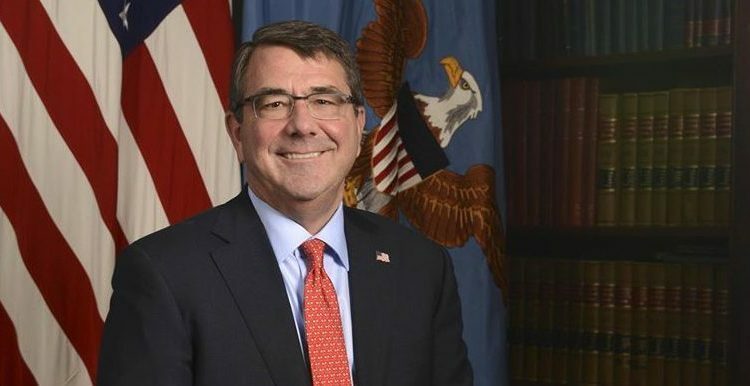 The successful adoption of UNSCR 2396 demonstrates the United States’ unwavering commitment to the complete defeat of ISIS. 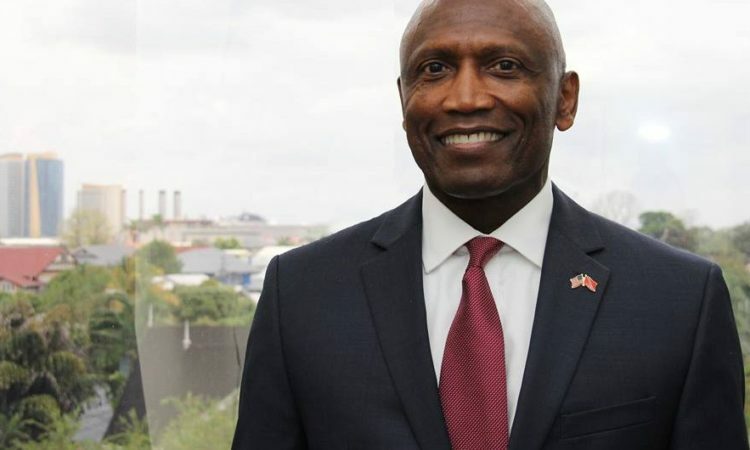 The U.S. Embassy to Port of Spain advises the public that, contrary to rumors, there has been NO recent change in Visa Policy for nationals of Trinidad and Tobago. 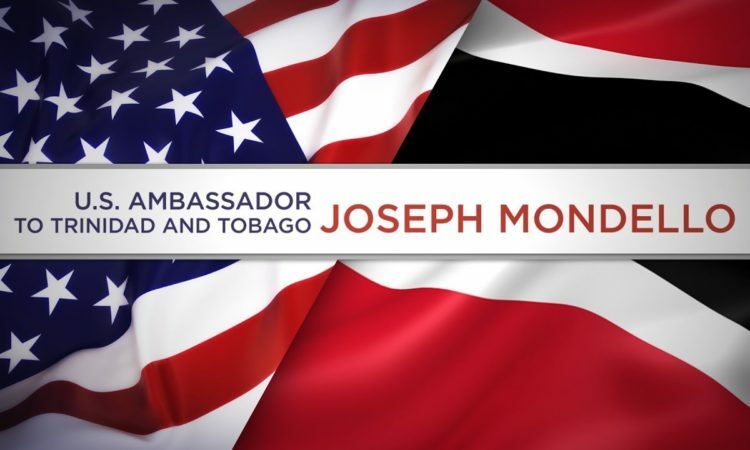 Please check https://travel.state.gov for the latest official information, as well as our website https://tt.usembassy.gov/ and follow us on Facebook and Twitter @USinTT. 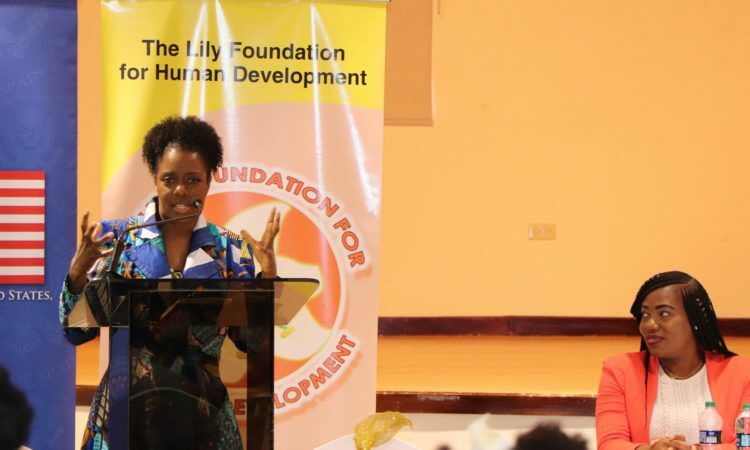 One thing that I have learned about life is that challenges will always come, no matter who you are or what you do. 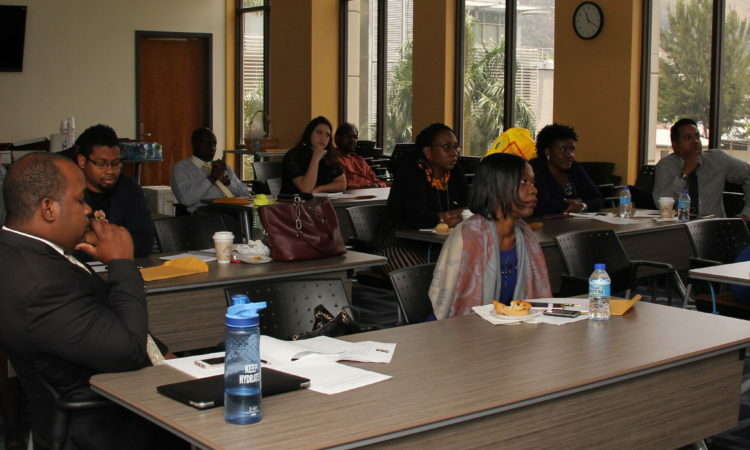 But what makes individuals distinguish themselves are the choices we make when confronted by the challenges. 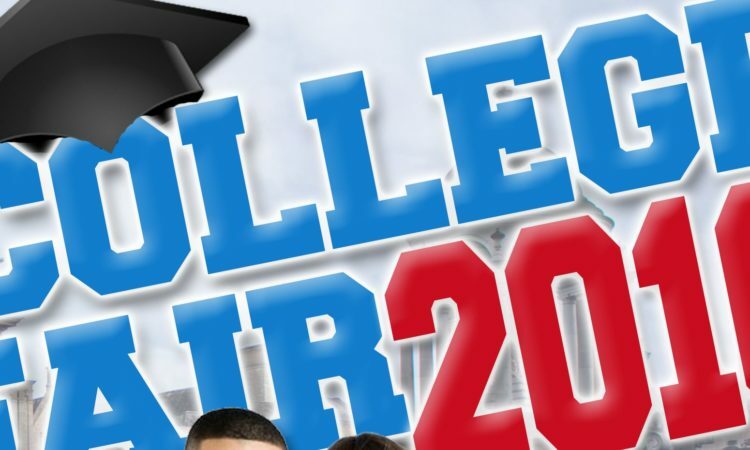 Thank you for attending College Fair 2017! 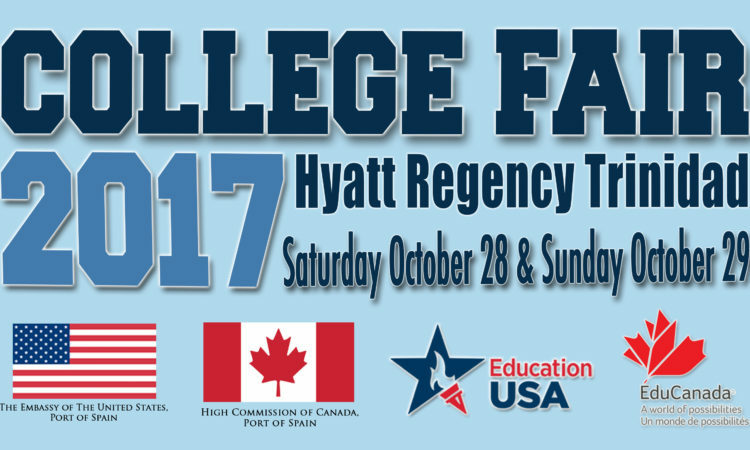 College Fair 2017 is on Oct 28-Oct 29 at Hyatt Regency, Port of Spain. 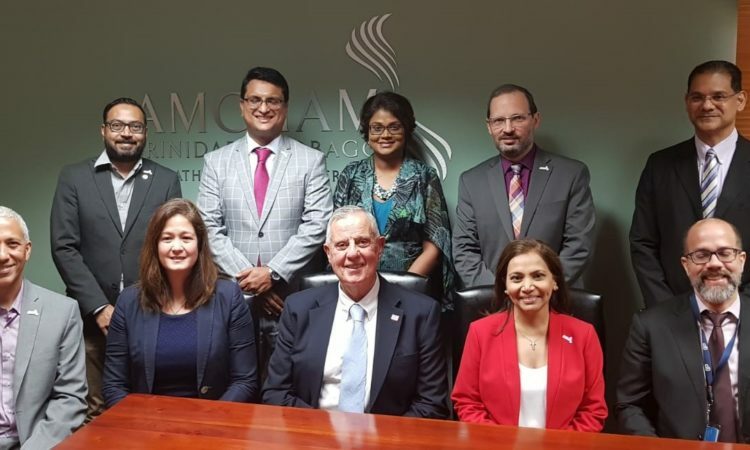 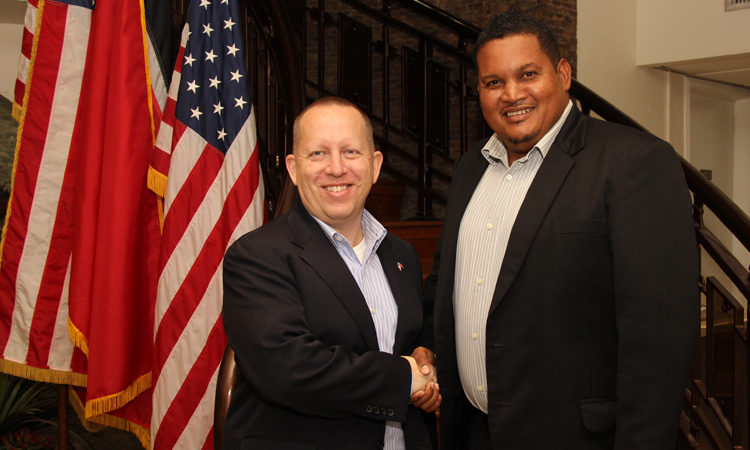 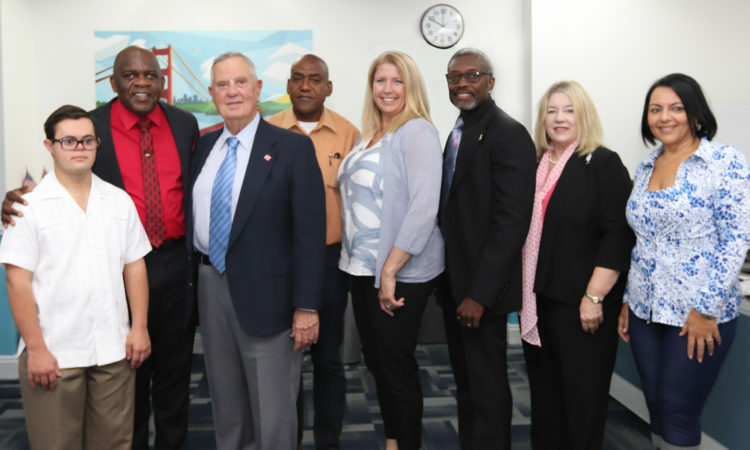 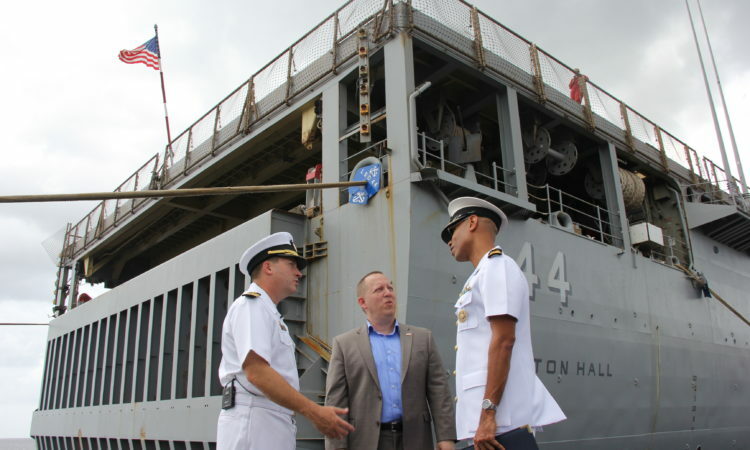 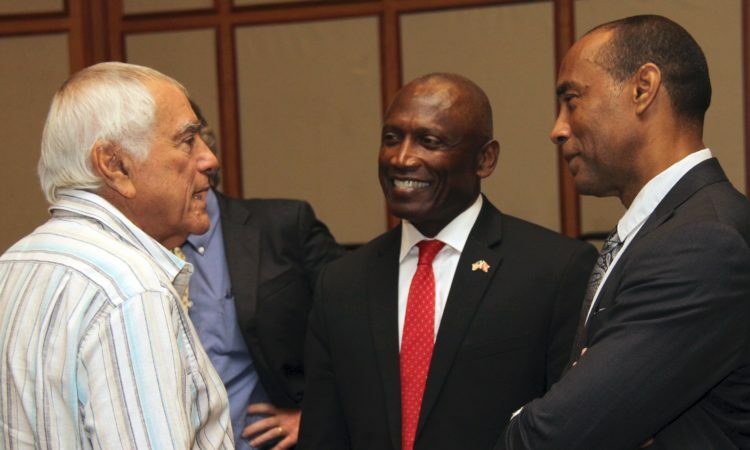 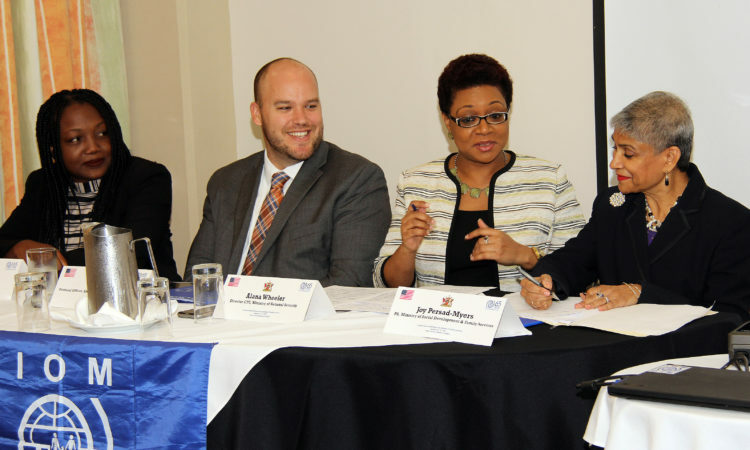 Two U.S. Congress staff delegations visited Trinidad and Tobago last week, a testimony to the importance the United States places on deepening our already strong bilateral relations. 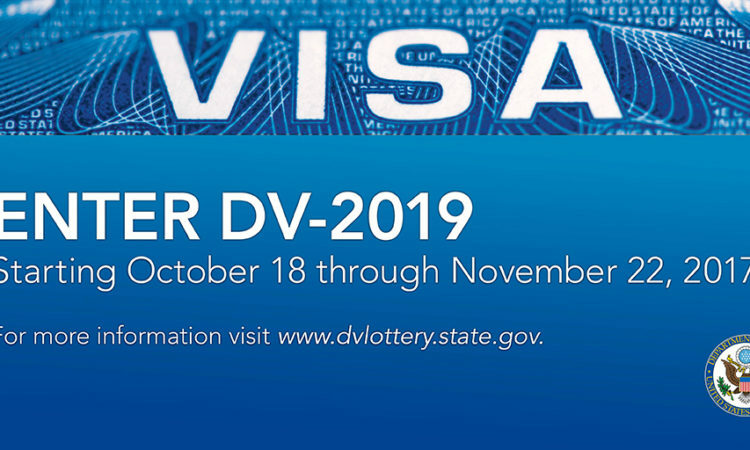 The Registration for the 2019 Diversity Visa Program has been extended. 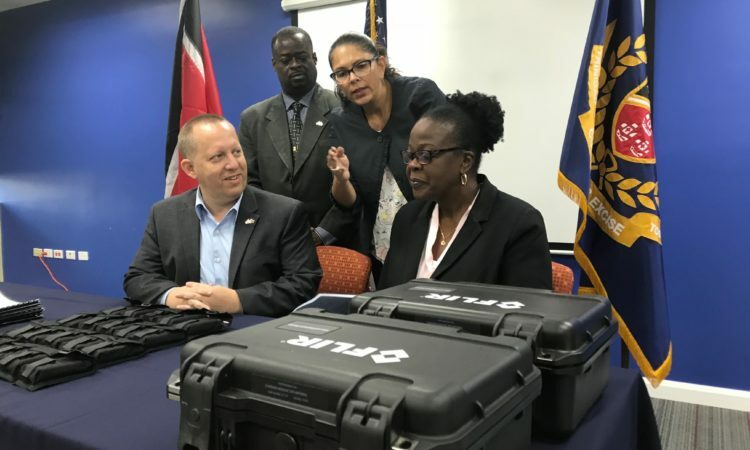 This is an on the record conference call with the Department of State and U.S. Agency for International Development officials on the U.S. response to Hurricane Maria. 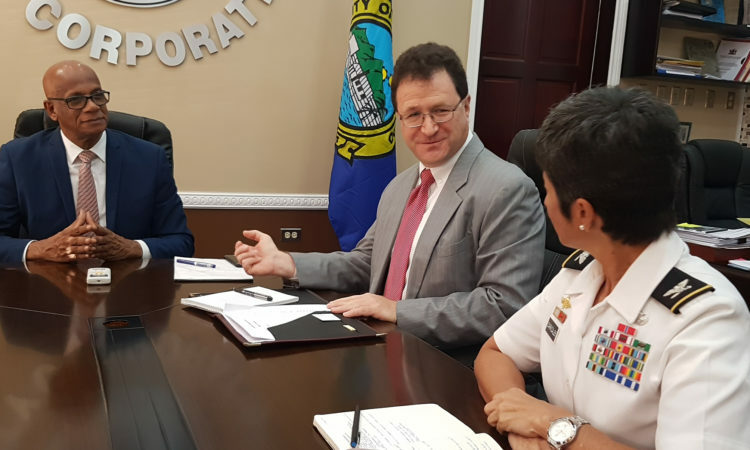 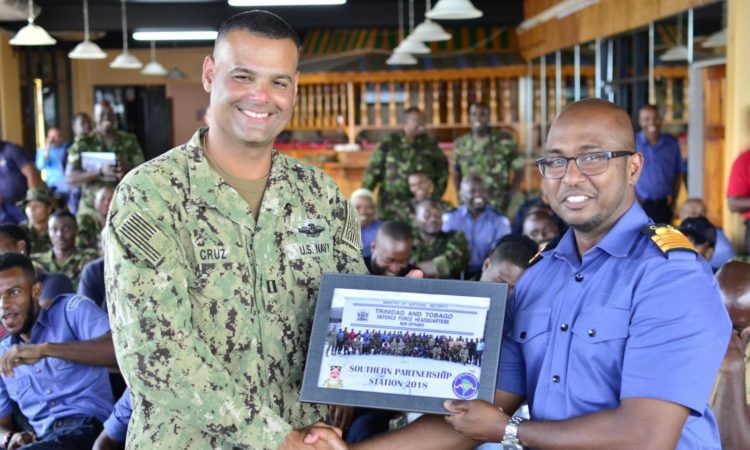 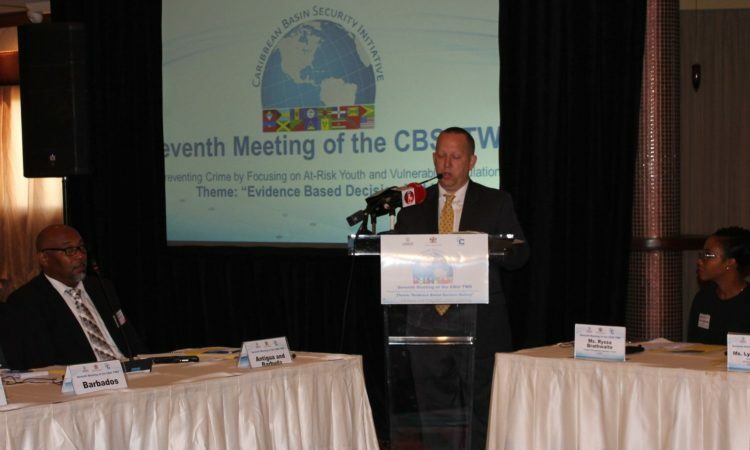 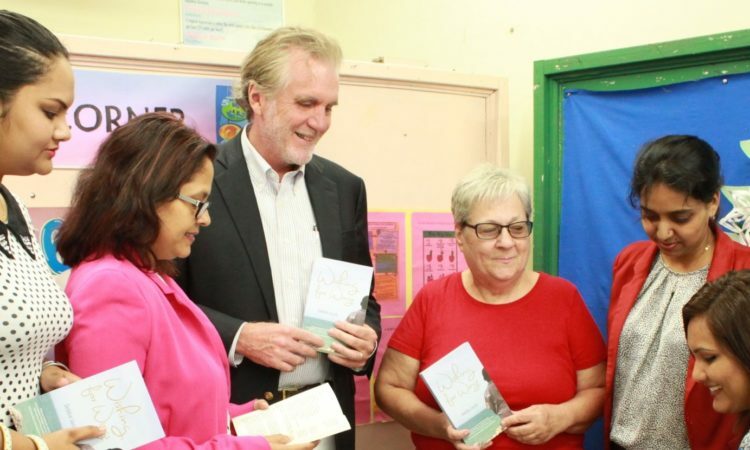 We consider it part of our long-standing commitment to reduce the production, trafficking, and use of illegal drugs, not only here in Trinidad and Tobago, but also throughout the Caribbean and the rest of the Western Hemisphere. 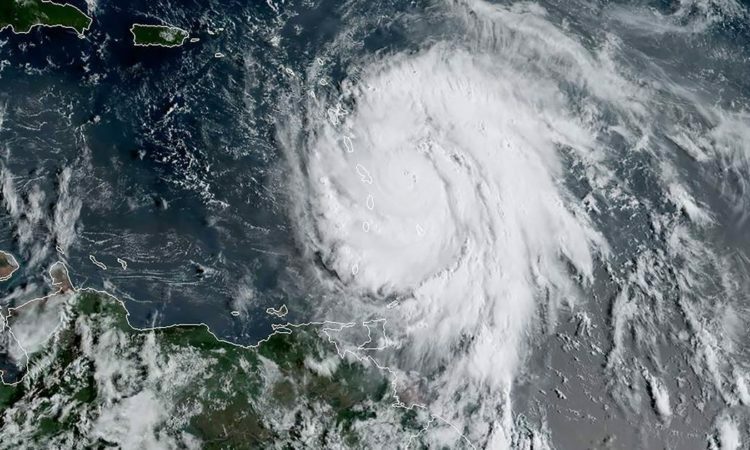 The United States stands in solidarity with the people of Dominica and all those across the Caribbean region affected by the devastating impact of Hurricane Maria. 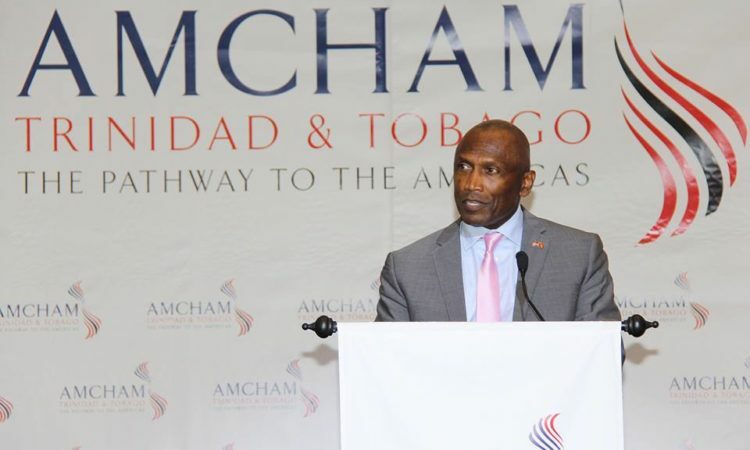 Fiscal transparency is a critical element of effective public financial management, helps in building market confidence, and underpins economic sustainability. 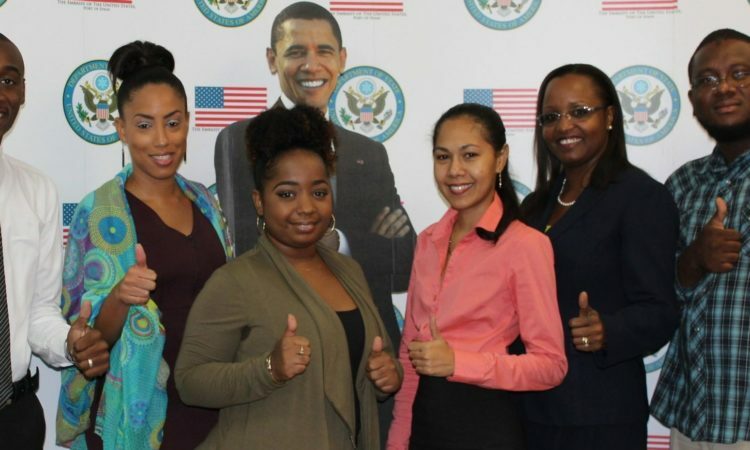 Youth Ambassadors back home and ready to GROW! 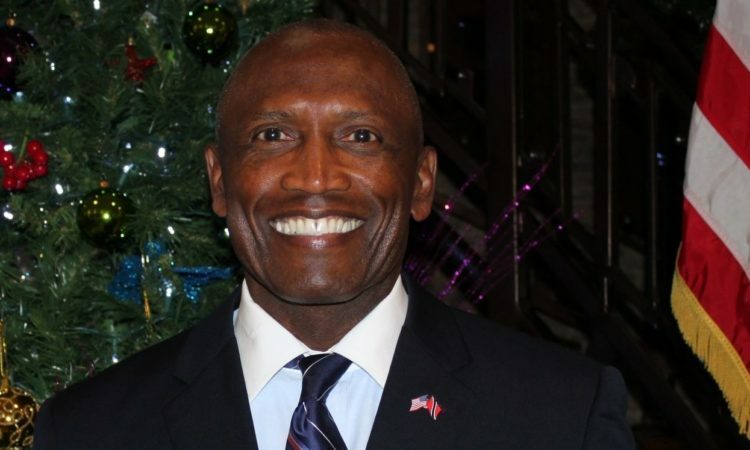 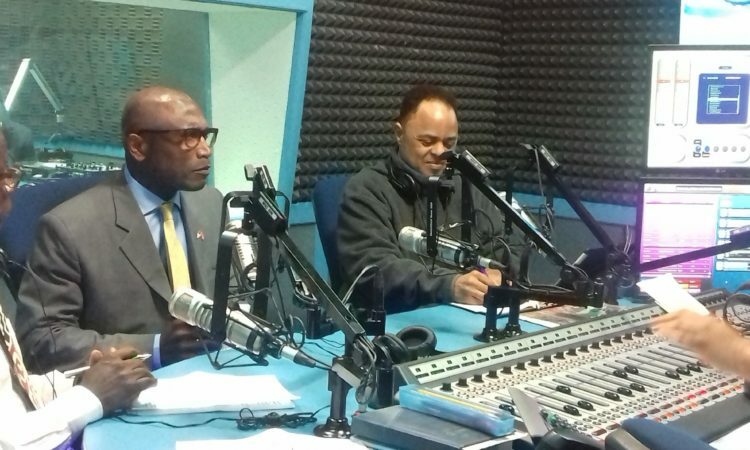 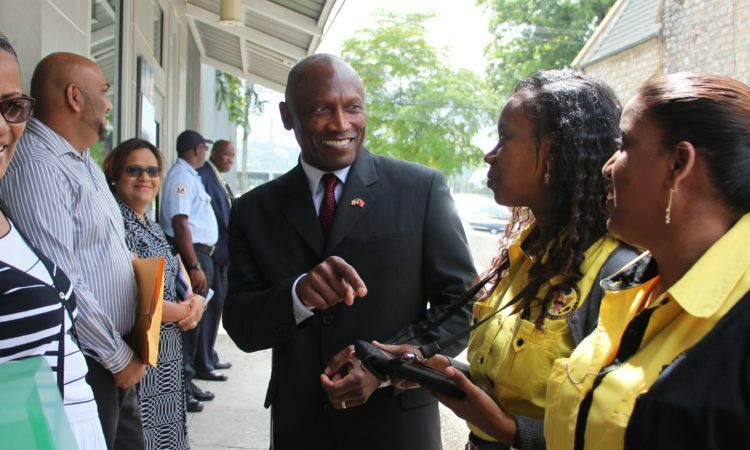 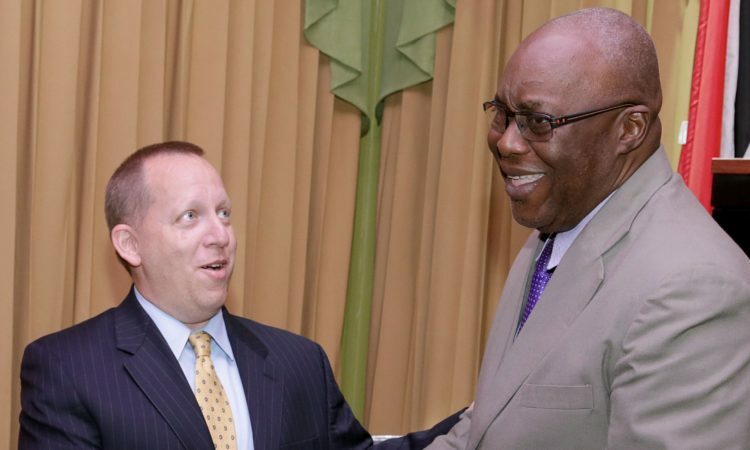 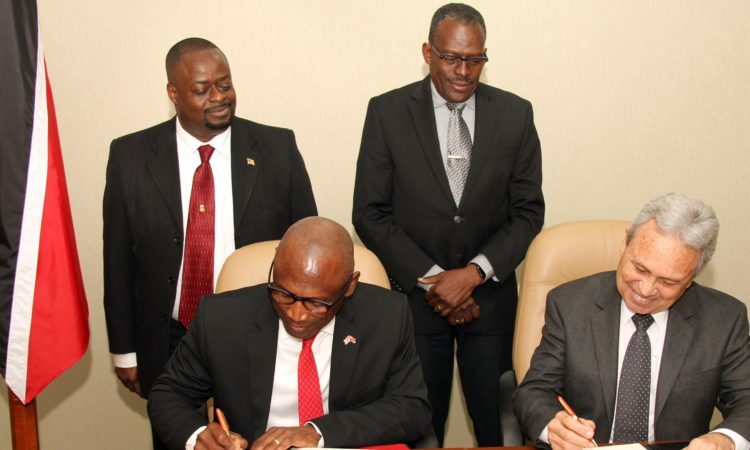 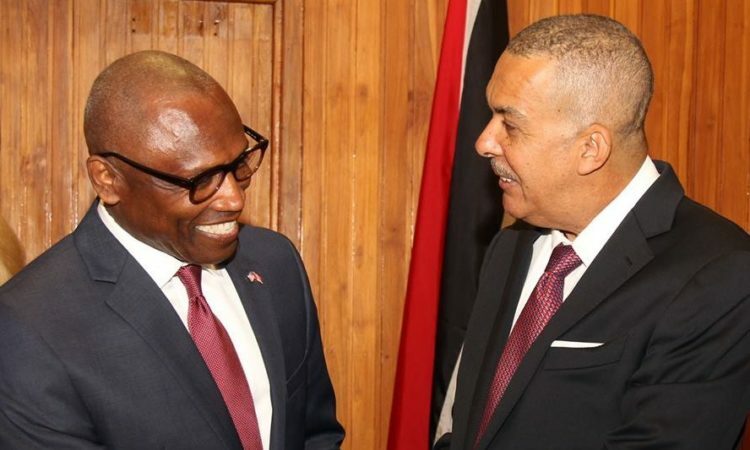 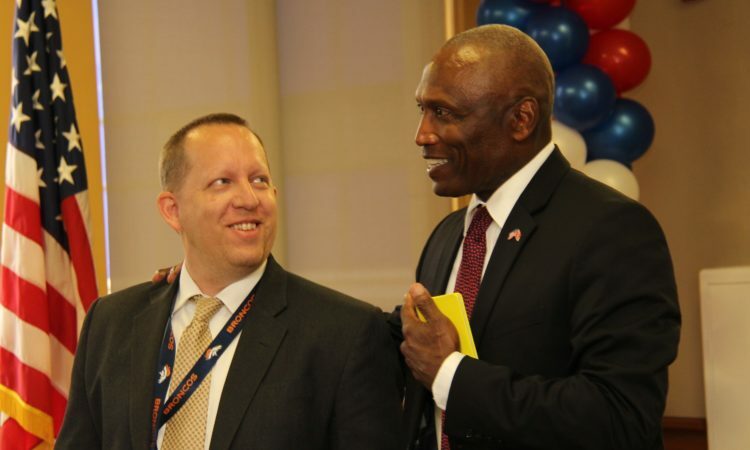 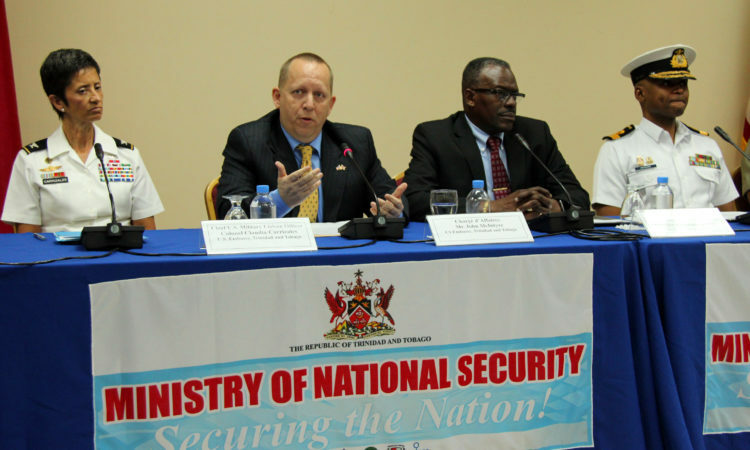 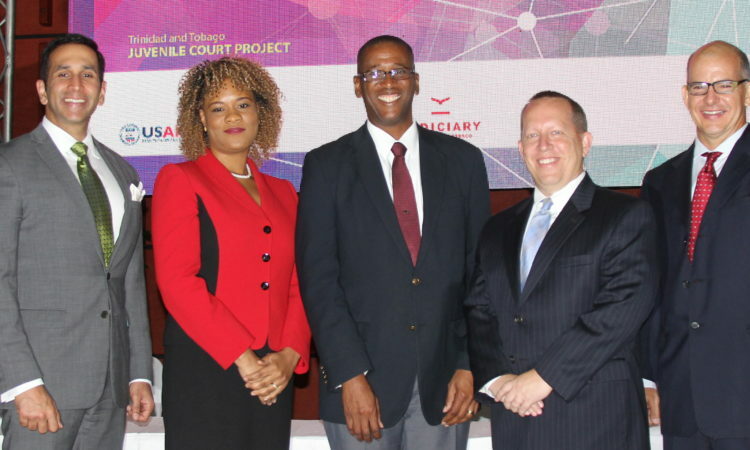 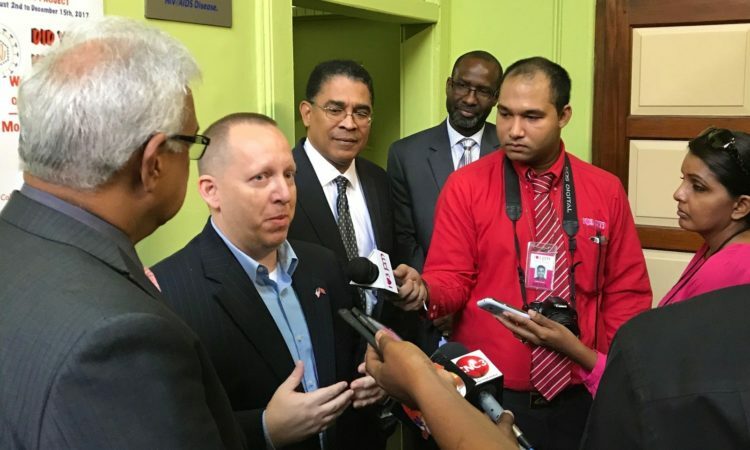 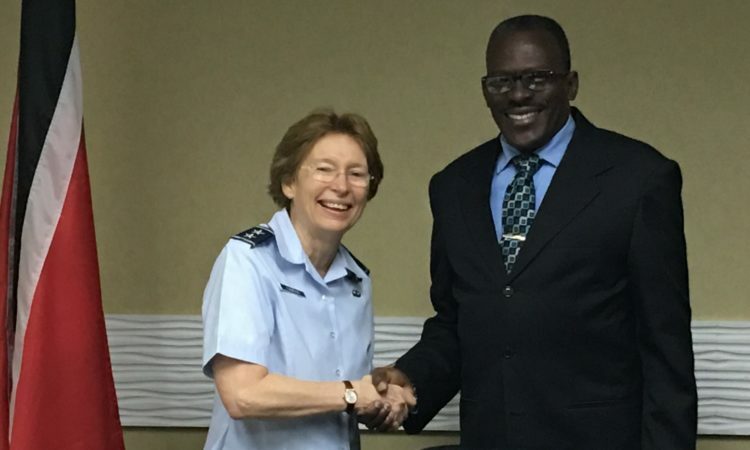 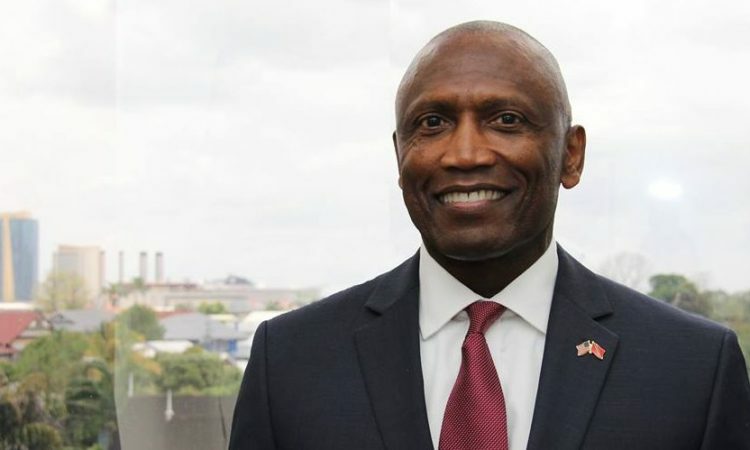 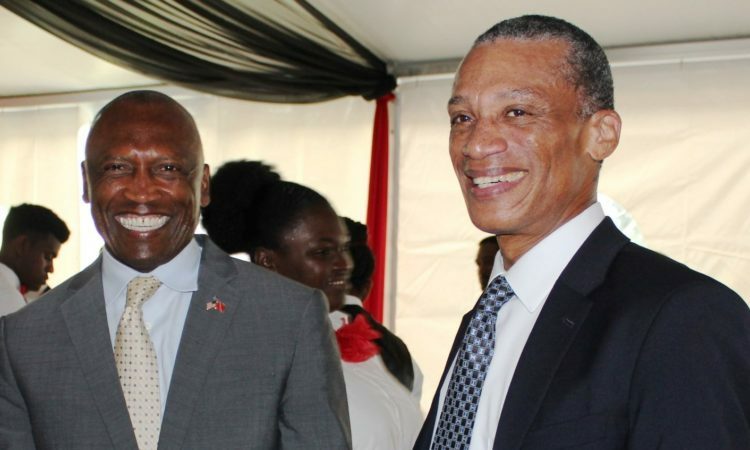 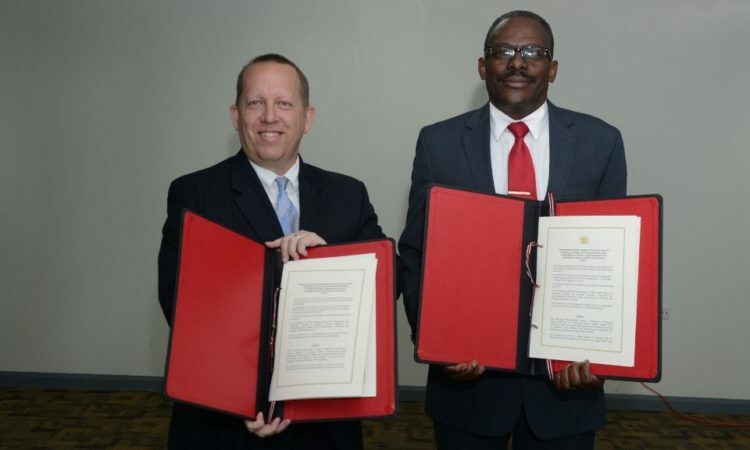 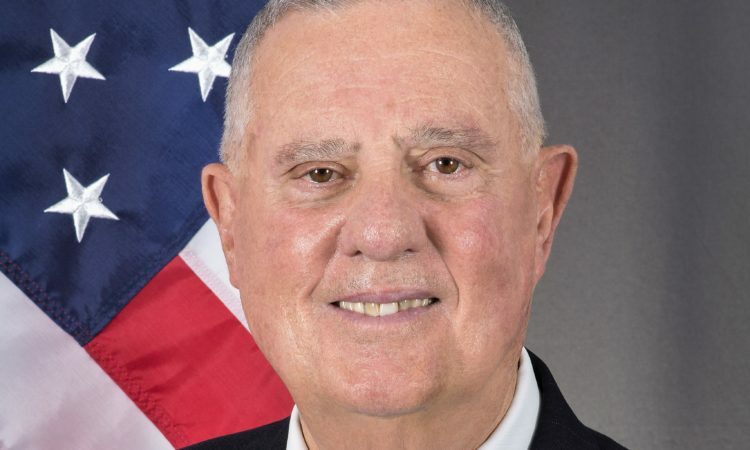 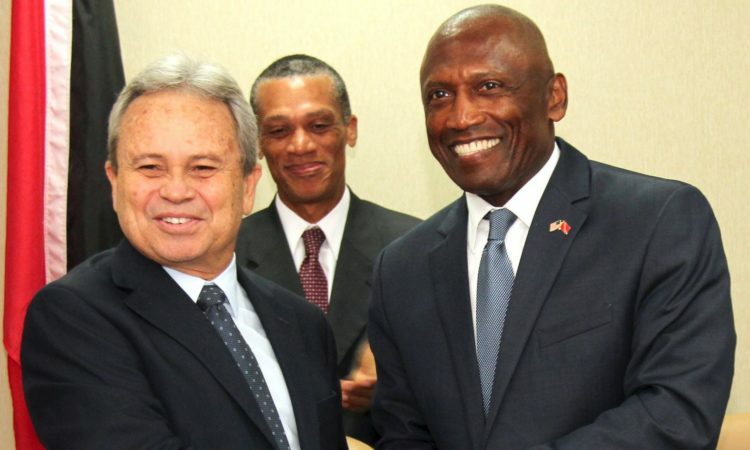 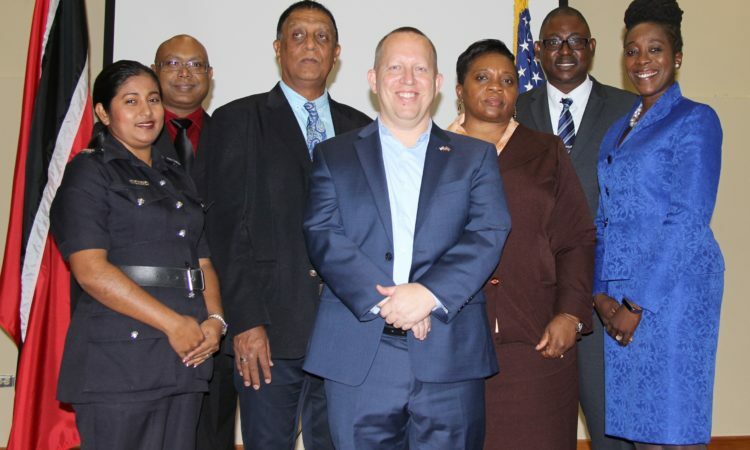 Trinidad and Tobago and the United States, in line with their deep and expanding program of security and law enforcement cooperation, recently agreed to deploy U.S. Air Marshals on selected flights between the two countries. 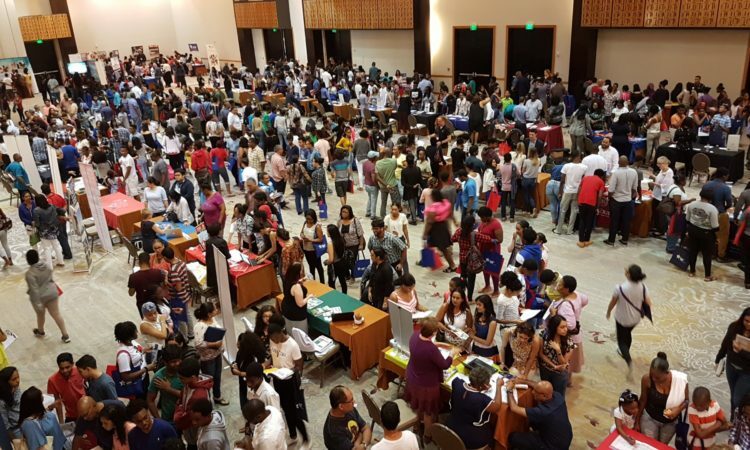 By U.S. Embassy Port of Spain | 5 September, 2017 | Topics: Education, News, Visas | Tags: College Fair, Study in the U.S. 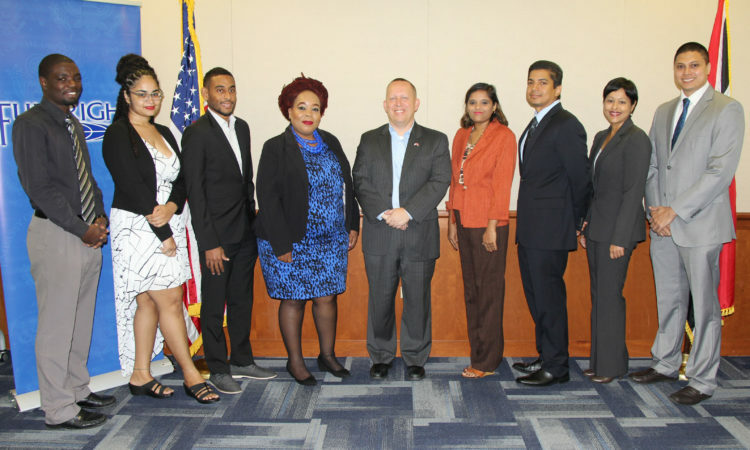 The U.S. Embassy is proud to announce the 2017 cohort from Trinidad and Tobago for the Young Leaders of the Americas Initiative (YLAI) Professional Fellows Program. 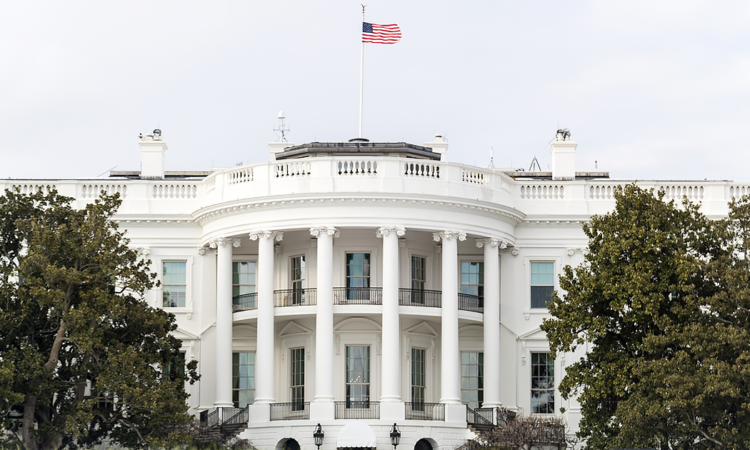 Today, the U.S. Department of the Treasury's Office of Foreign Assets Control (OFAC) designated the President of Venezuela, Nicolas Maduro Moros, pursuant to Executive Order (E.O.) 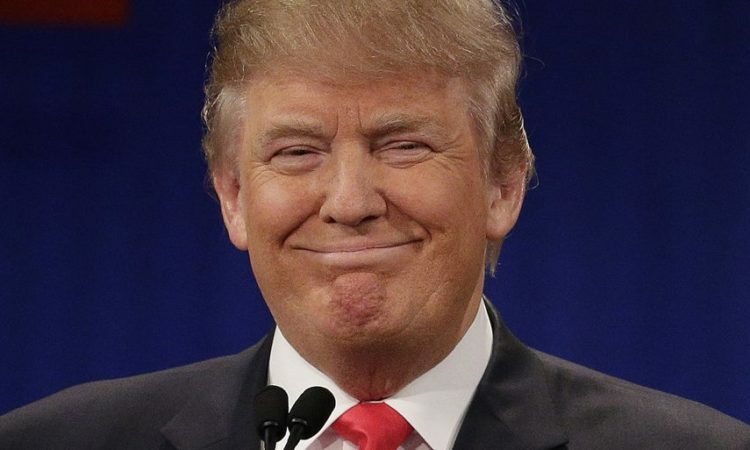 13692. 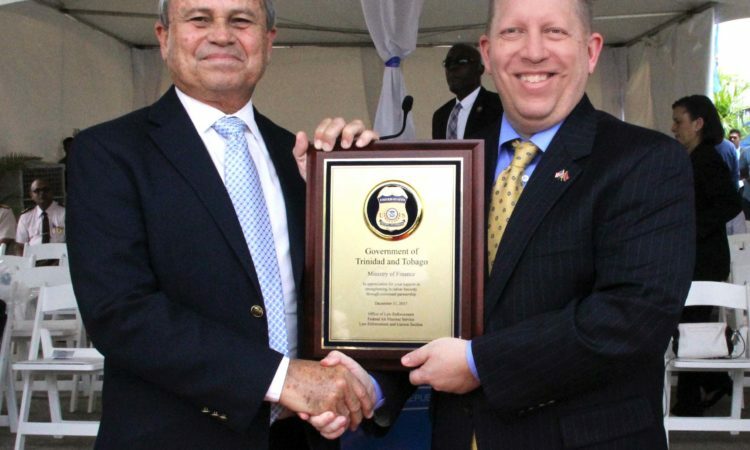 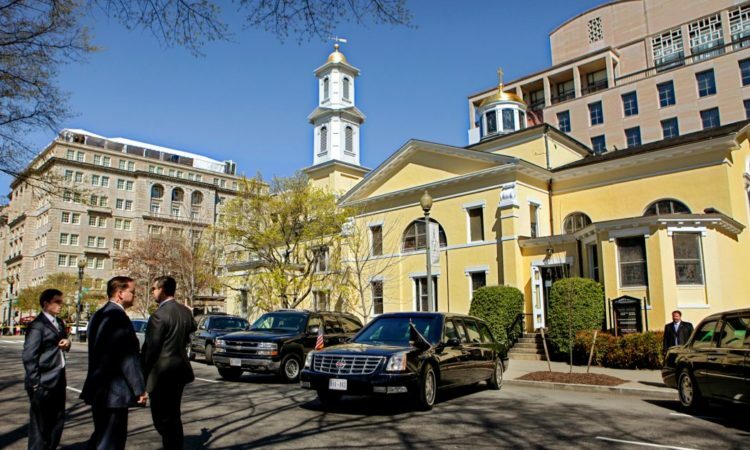 The Embassy of the United States of America has a need for Asphalt removal and Replacement. 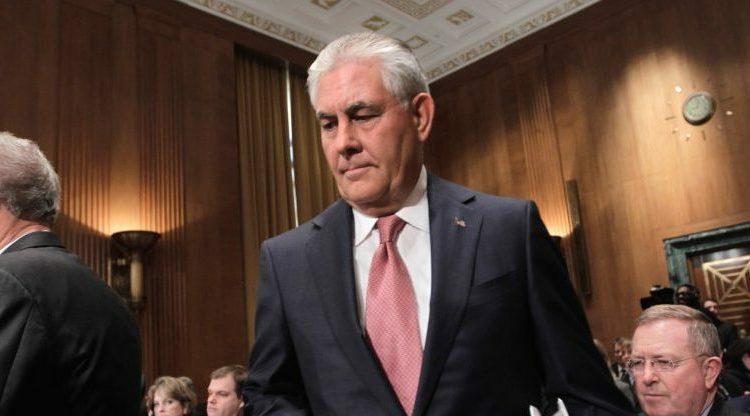 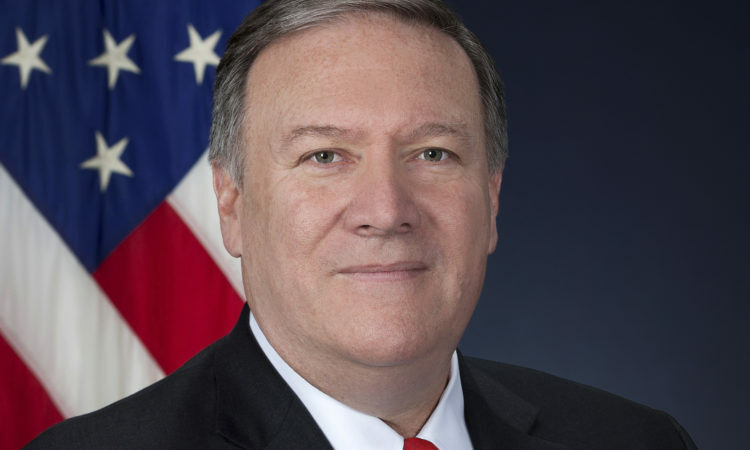 The United States condemns the elections imposed on July 30 for the National Constituent Assembly, which is designed to replace the legitimately elected National Assembly and undermine the Venezuelan people’s right to self-determination. 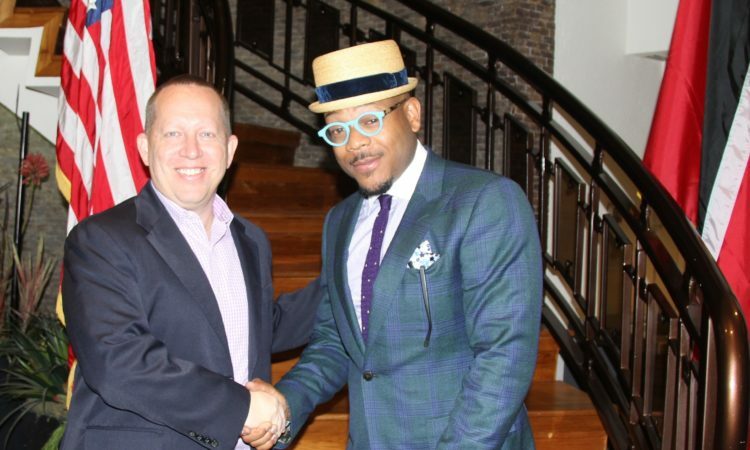 Trini jazz musician Etienne Charles, an Assistant Professor of Jazz Studies at Michigan State University yesterday paid a courtesy call on Chargé d’Affaires John W. McIntyre. 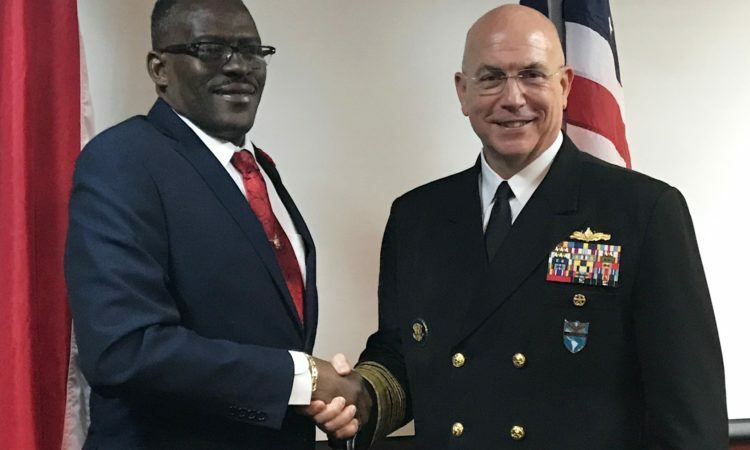 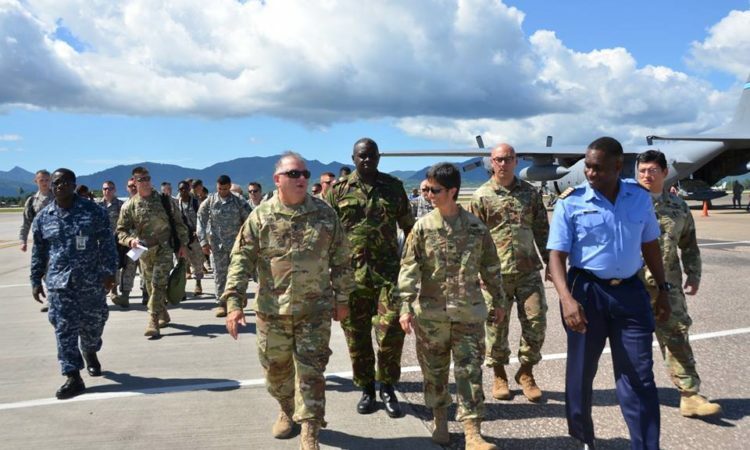 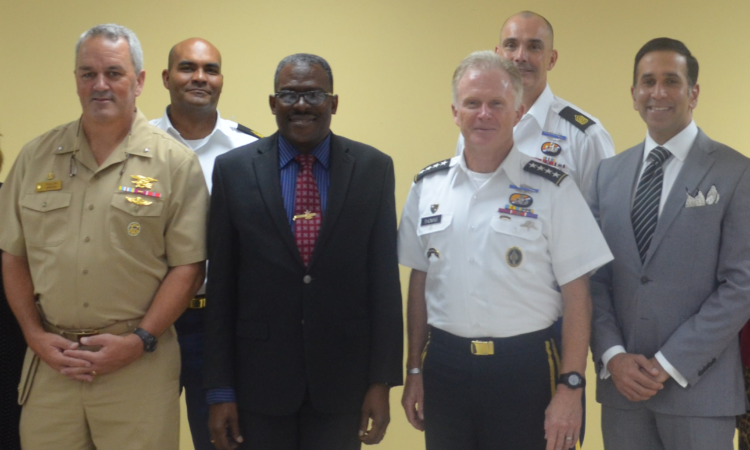 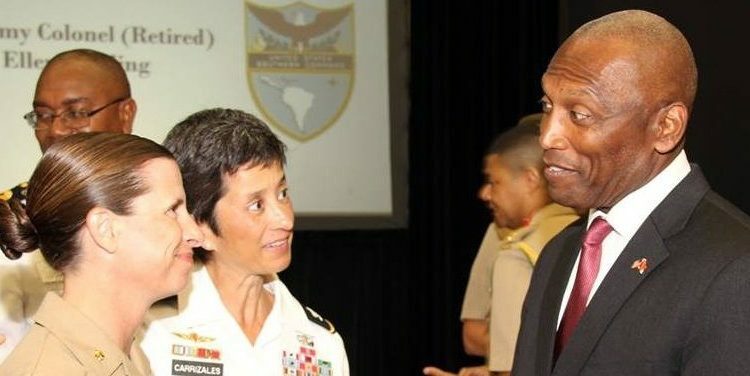 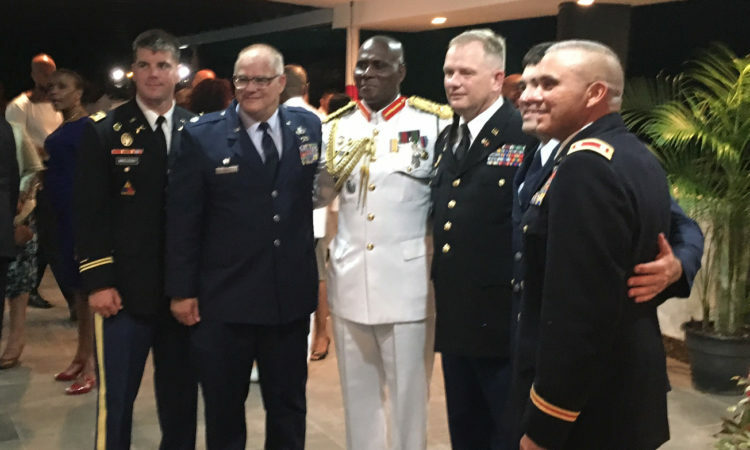 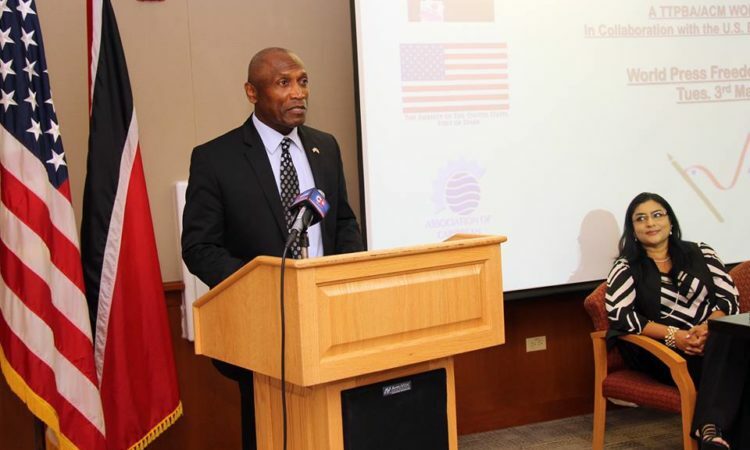 Supporting the U.S.’s longstanding security partnership with the people and Government of Trinidad and Tobago, yesterday, U.S. military officials led by the Commander of U.S. Special Operations Command, General Raymond A. Thomas III, met with their Government of Trinidad and Tobago counterparts. 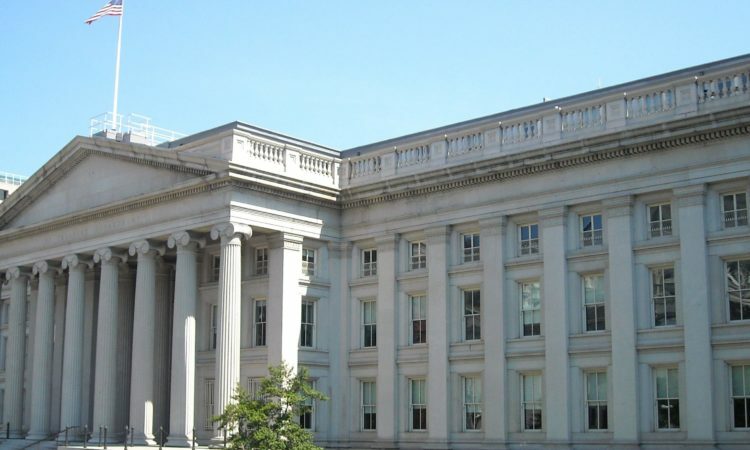 The U.S. Department of Treasury sanctioned 13 current and former senior officials of the Government of Venezuela. 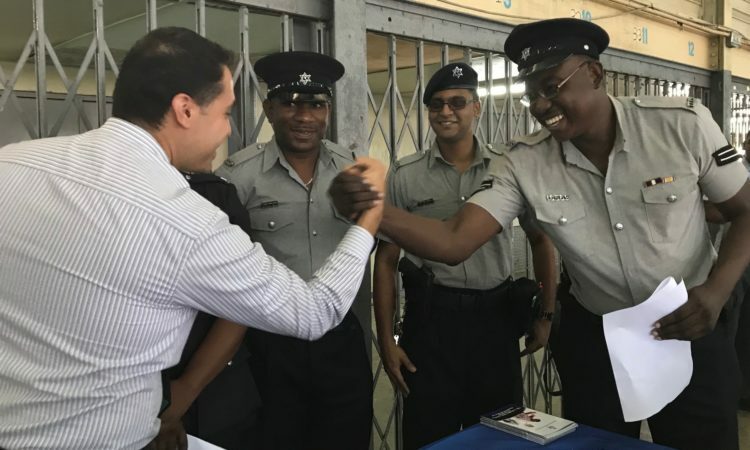 These efforts will help the system shift from one focused on punishing youth in conflict with the law to one that promotes rehabilitation and explores new approaches to restorative justice. 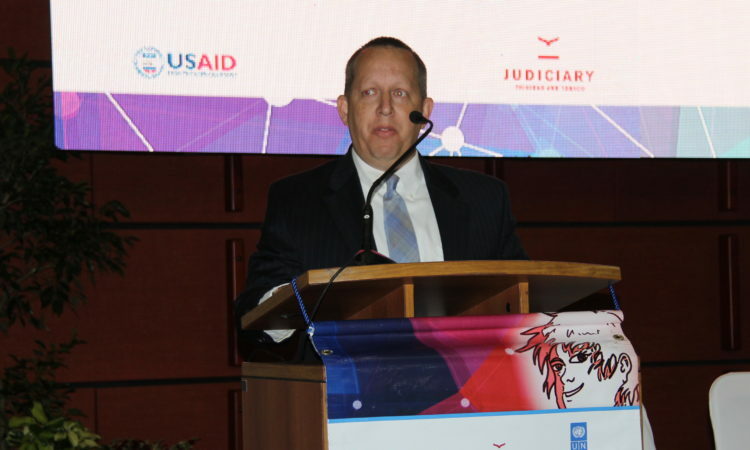 There is nothing simple about ending human trafficking. 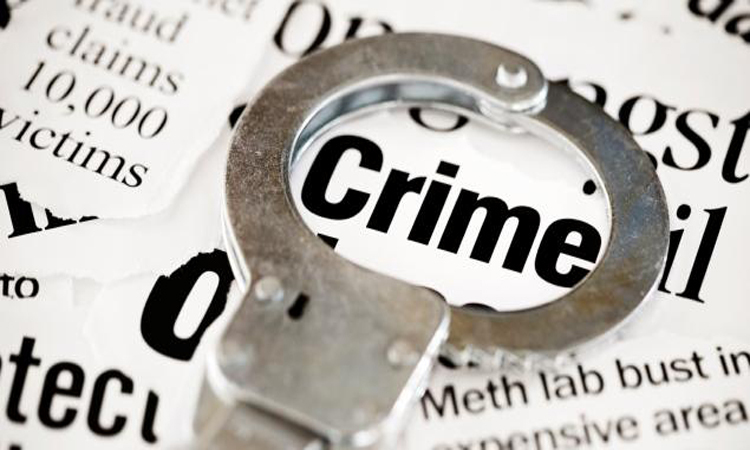 It is a crime that is hidden in the shadows, whose victims are largely unseen, and where traffickers all too often operate with impunity. 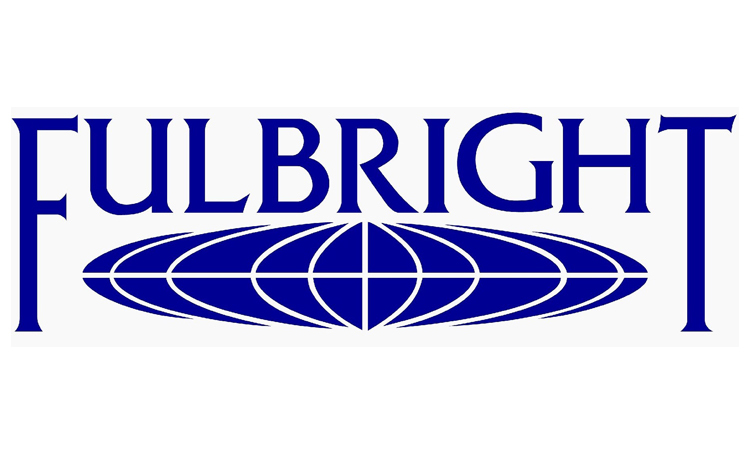 I’m a lower six student and would like to continue my studies in the United States. 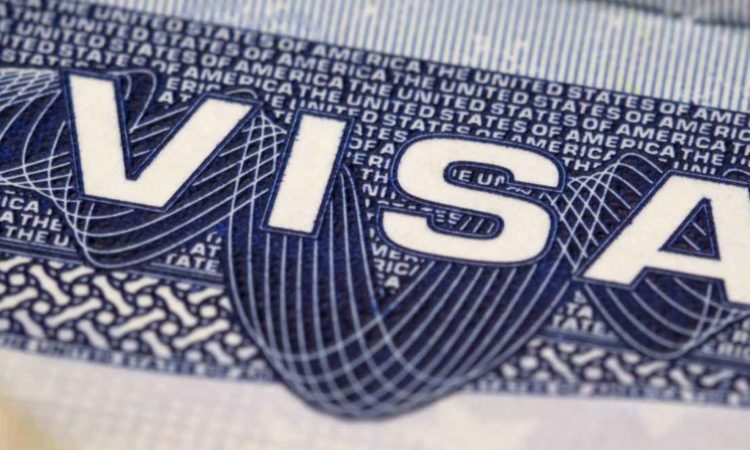 What is the application process and how do I get a student visa? 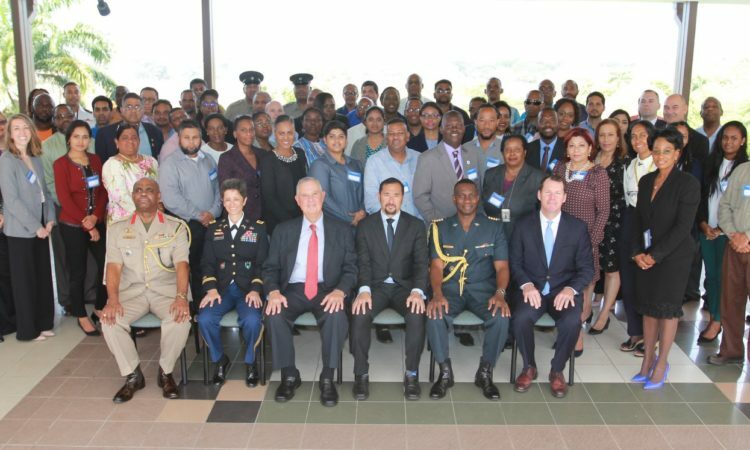 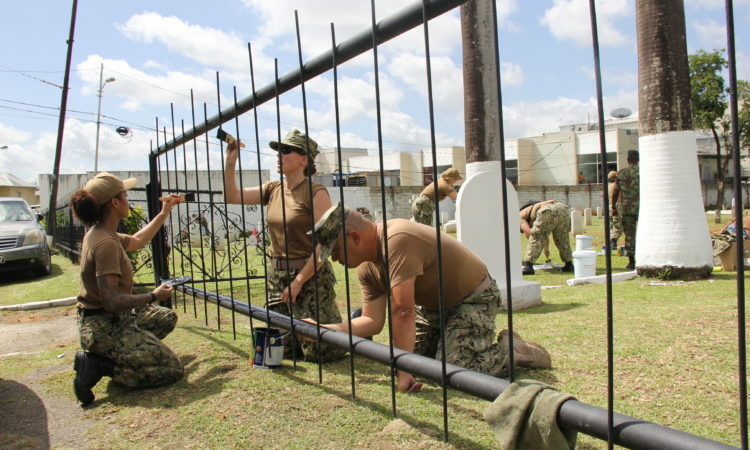 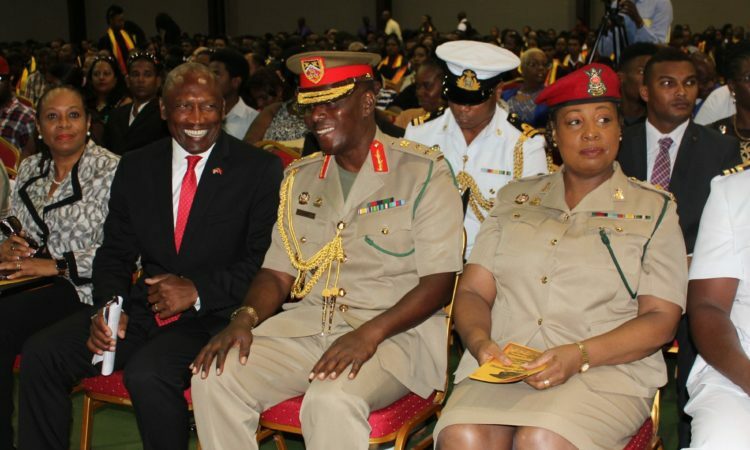 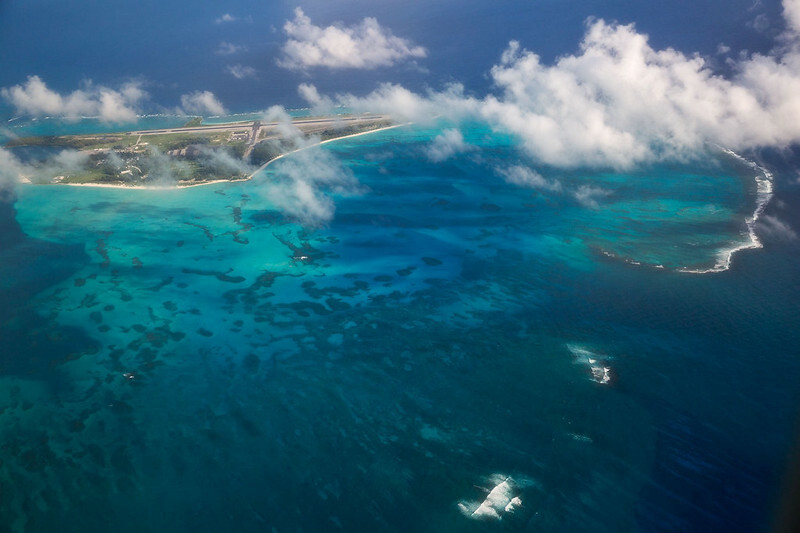 As Trinidad is the home of CARICOM IMPACS and the Trinidad and Tobago Police Academy is a training model for the region, Trinidad is an ideal location to host this conference. 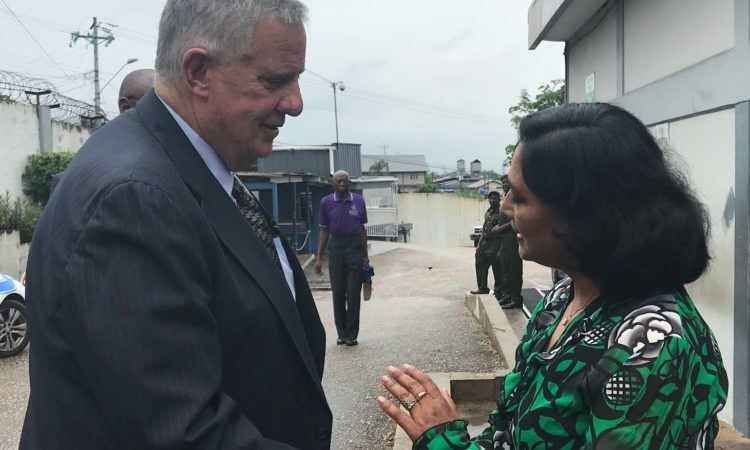 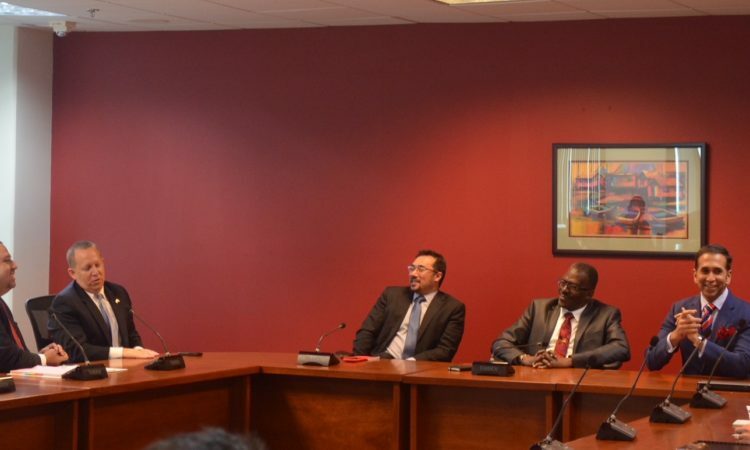 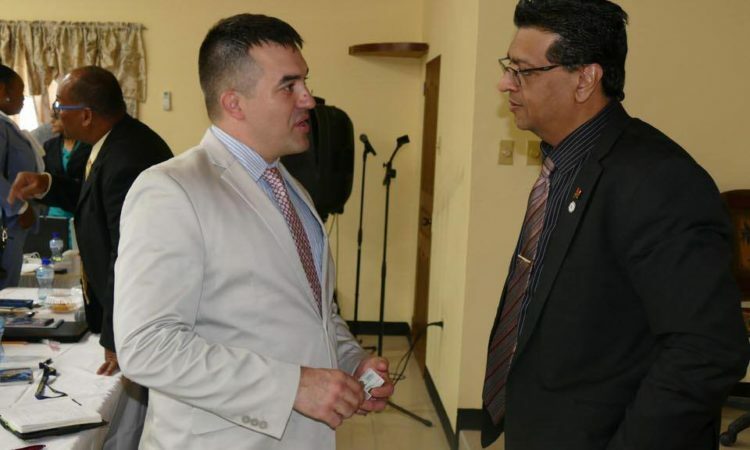 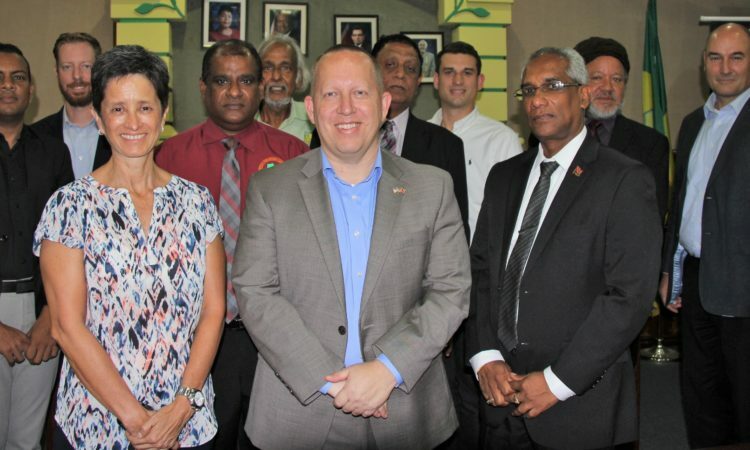 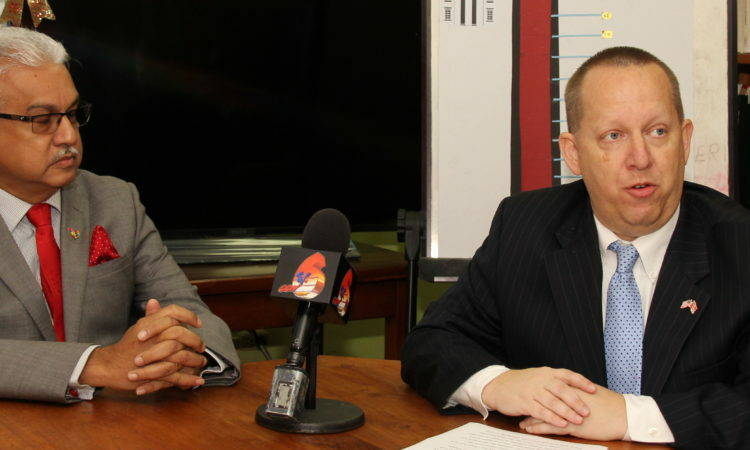 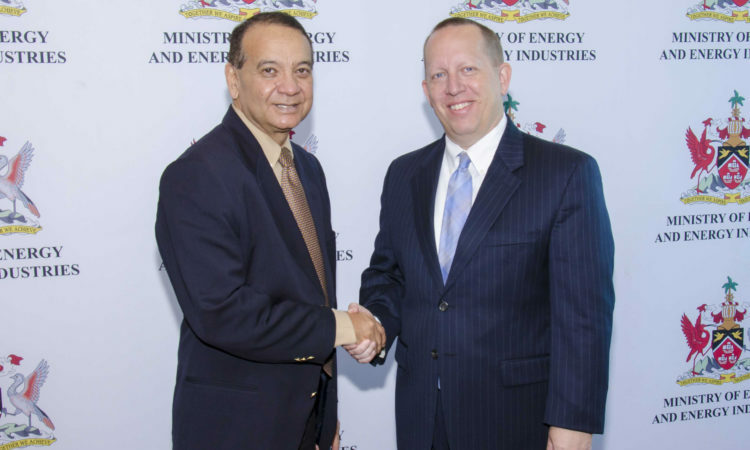 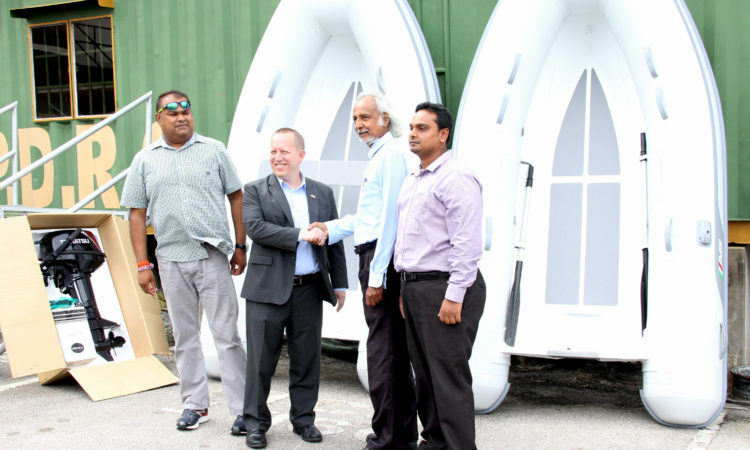 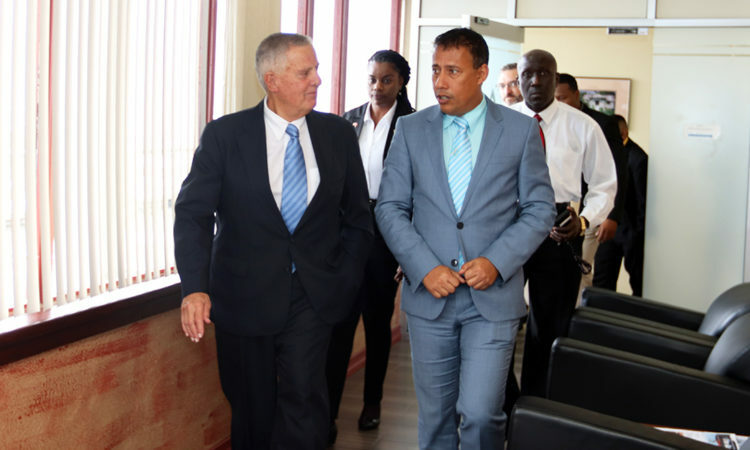 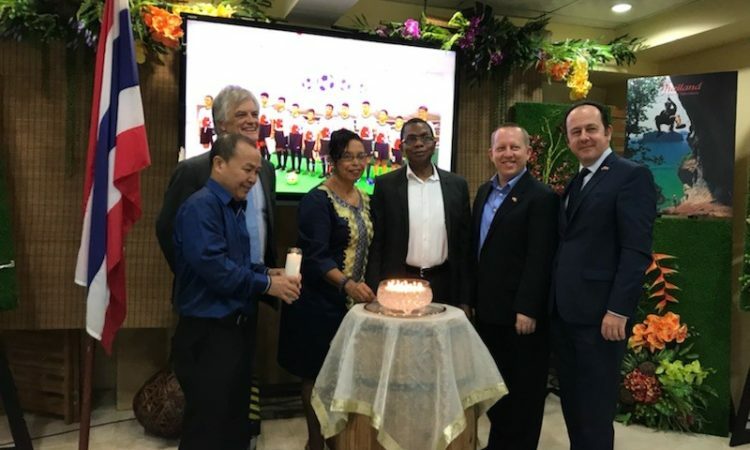 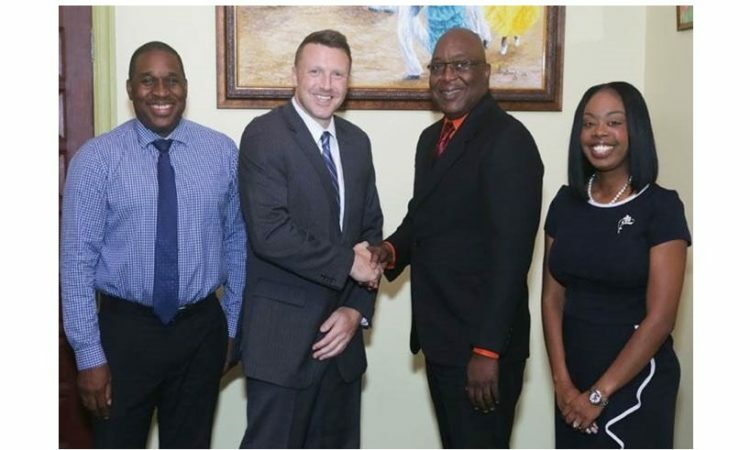 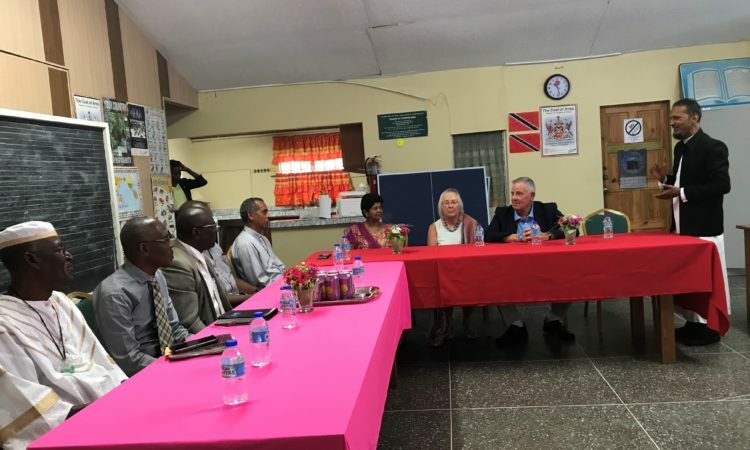 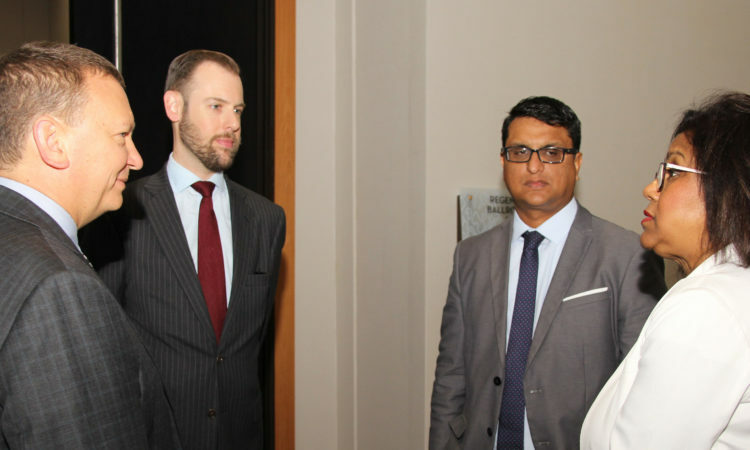 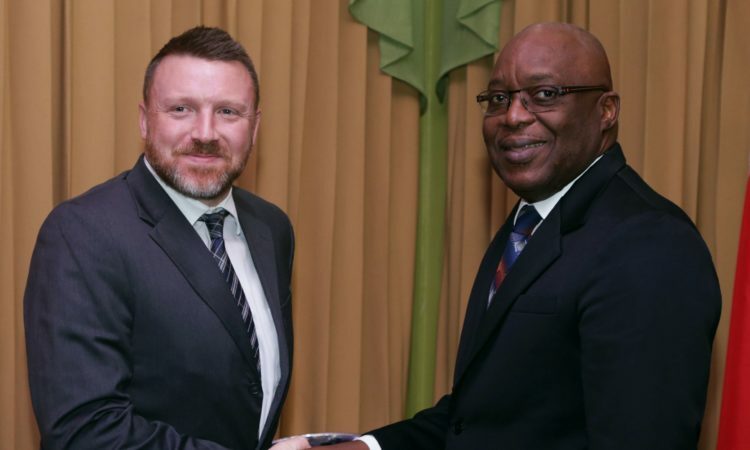 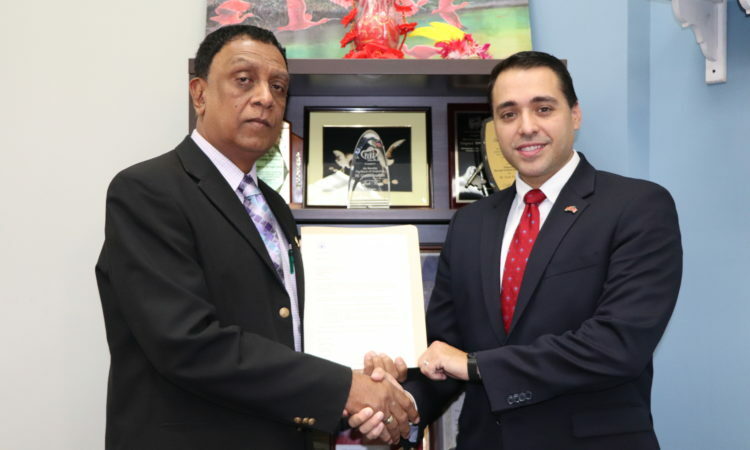 Charge´ d’Affairs John McIntyre and the Acting Deputy Chief of Mission Dexter Payne met with Minister of Energy and Energy Industries Franklin Khan recently. 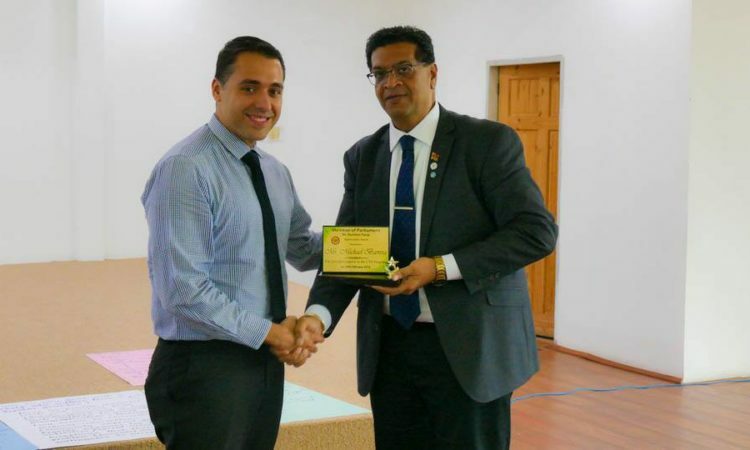 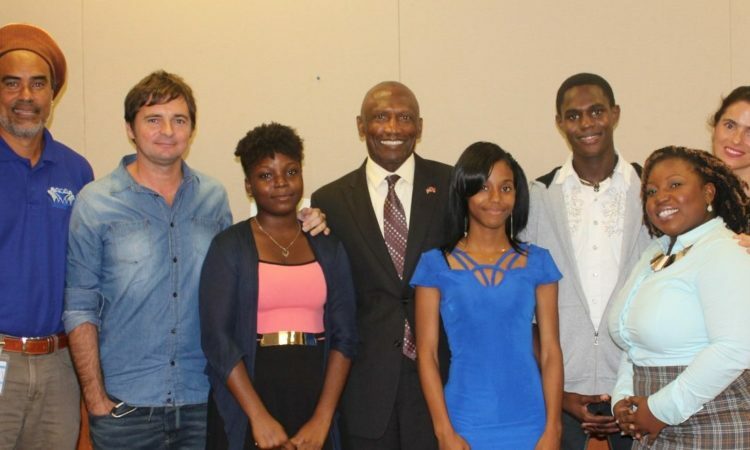 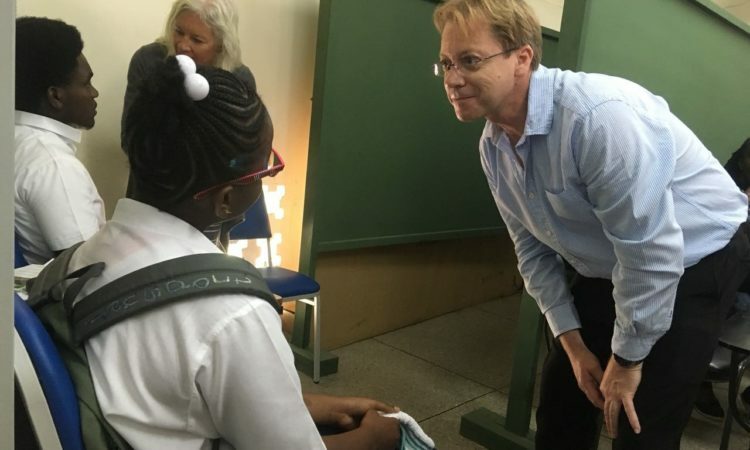 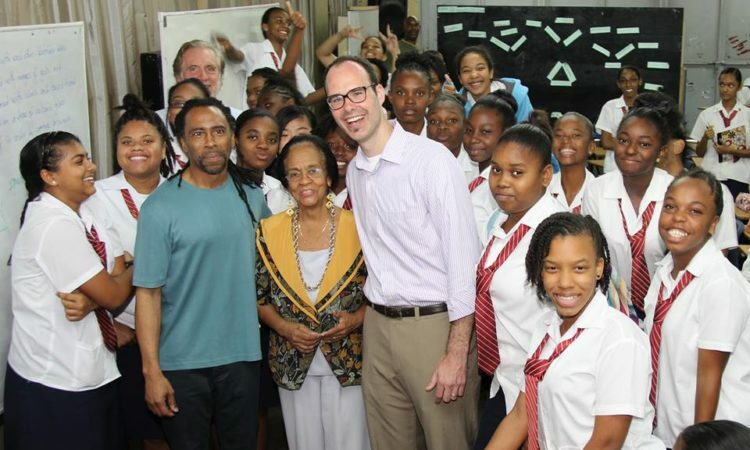 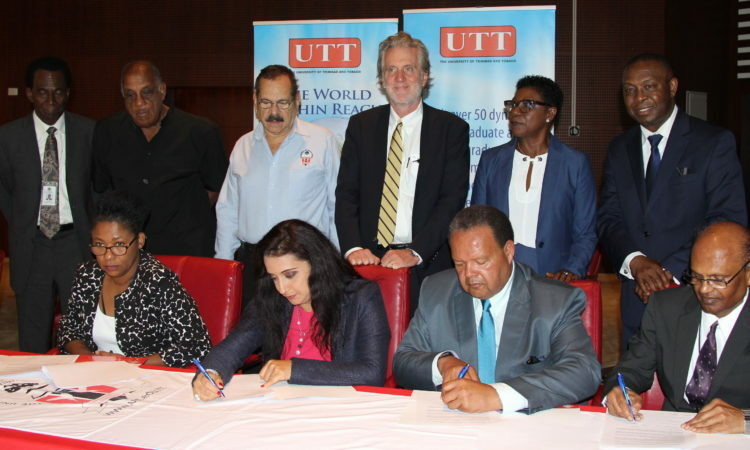 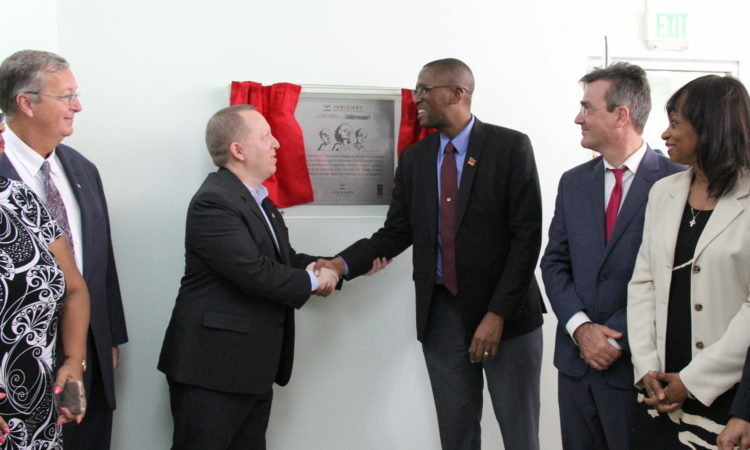 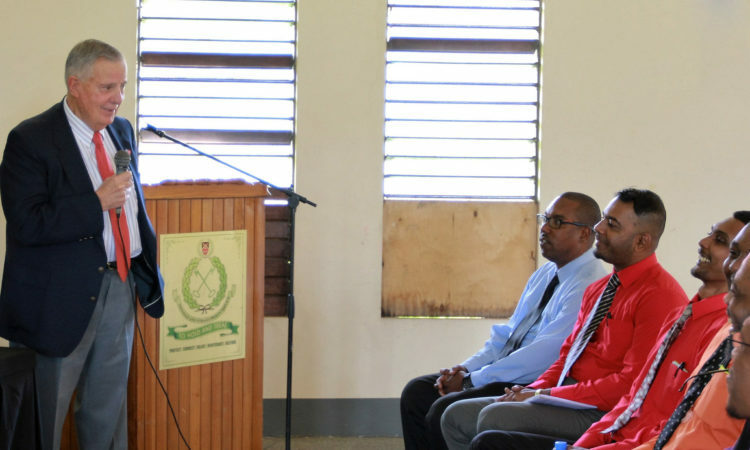 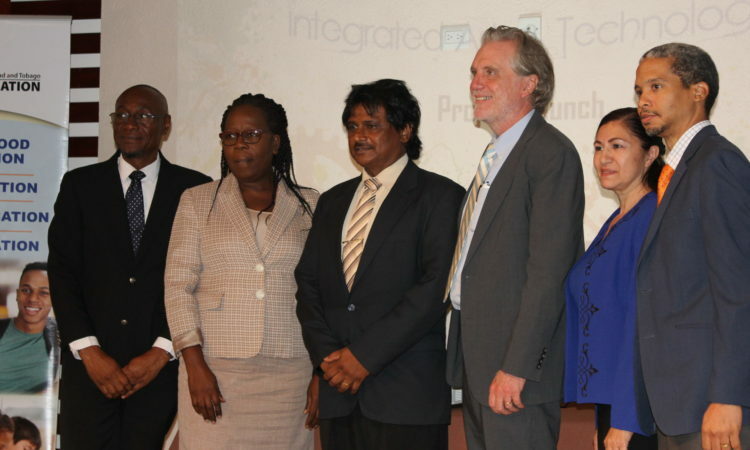 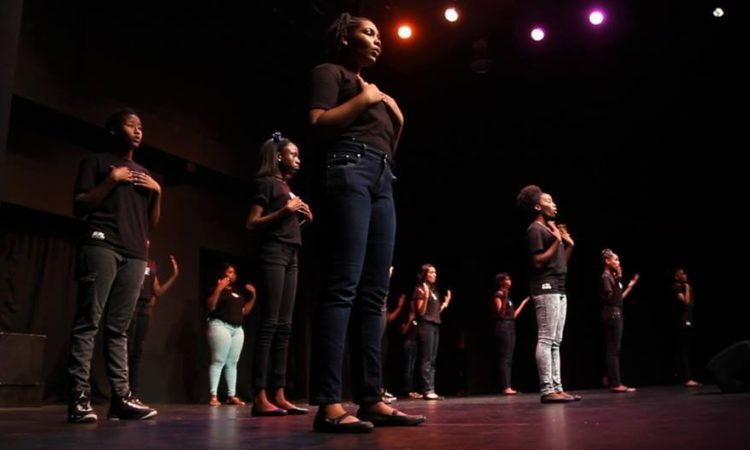 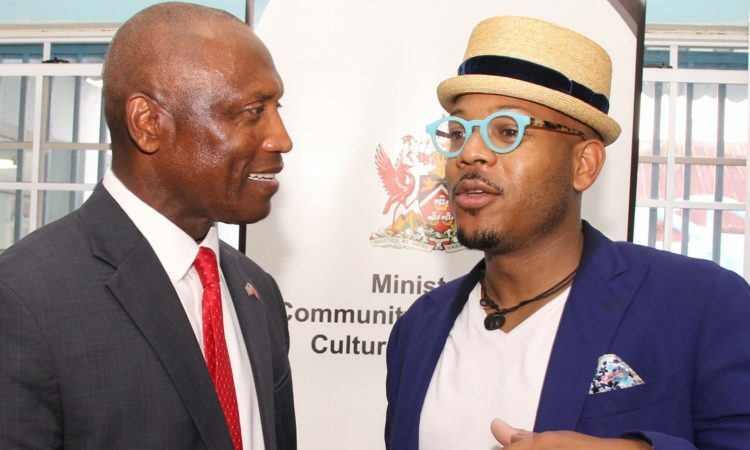 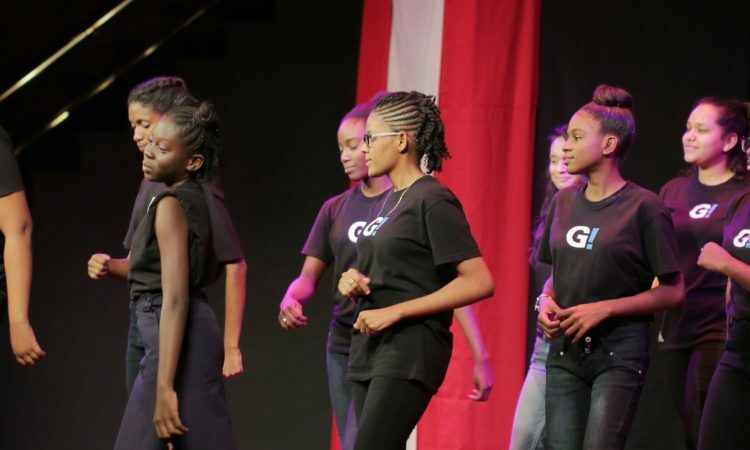 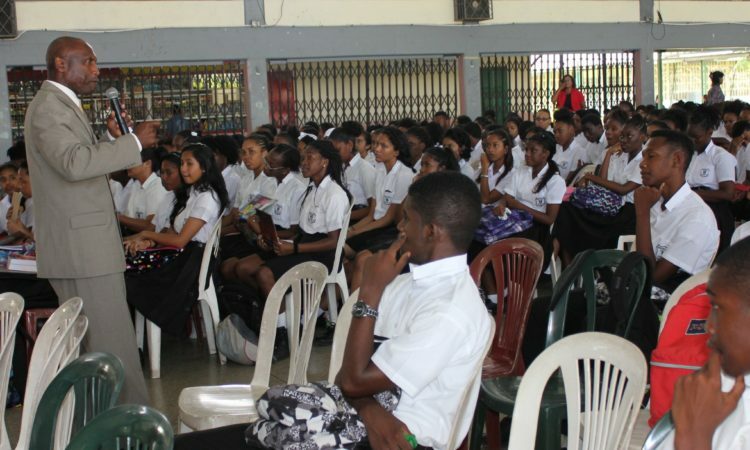 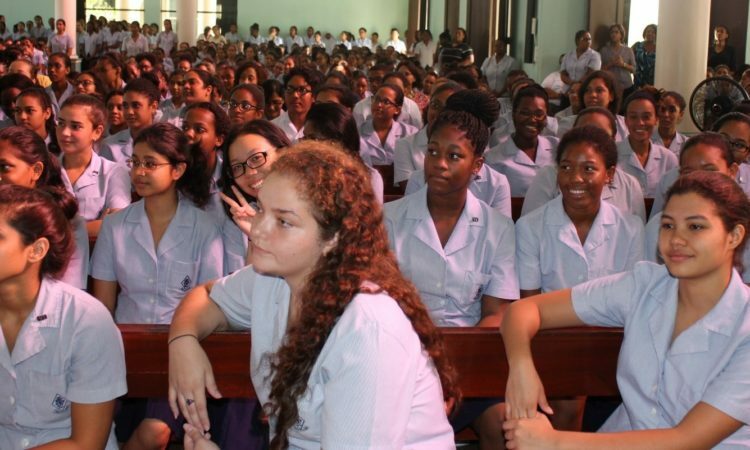 The Embassy in collaboration with the Ministry of Education has launched the Integrated Arts and Technology Project to be implemented in 16 secondary schools in Trinidad, two of which will be selected from Tobago. 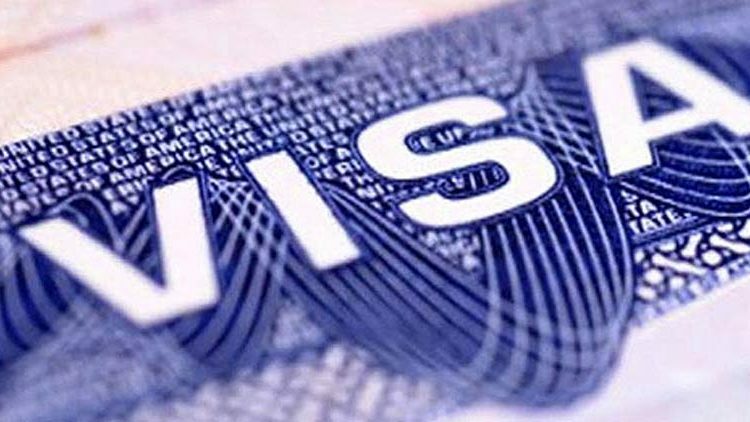 My family would like to travel for the summer holiday but my mother and 12 year old daughter need to apply for their visas. 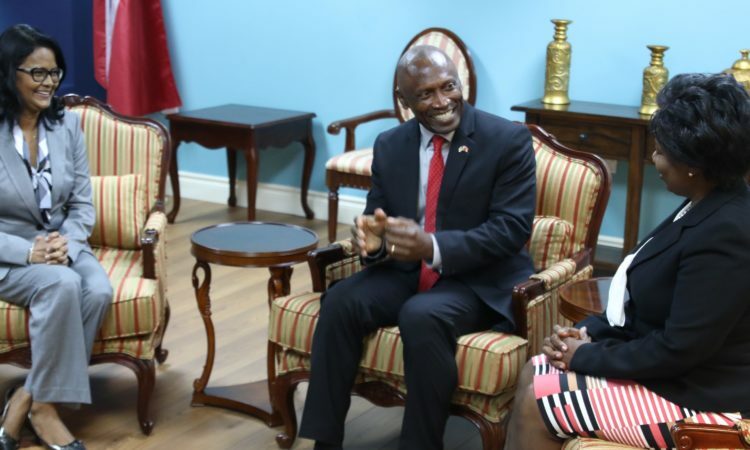 My mother is very elderly and my daughter is studying for her exams. 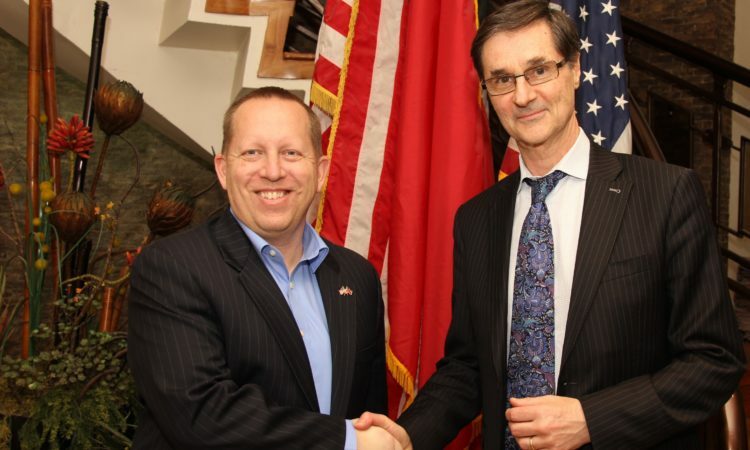 Do they have to come to the Embassy for an interview? 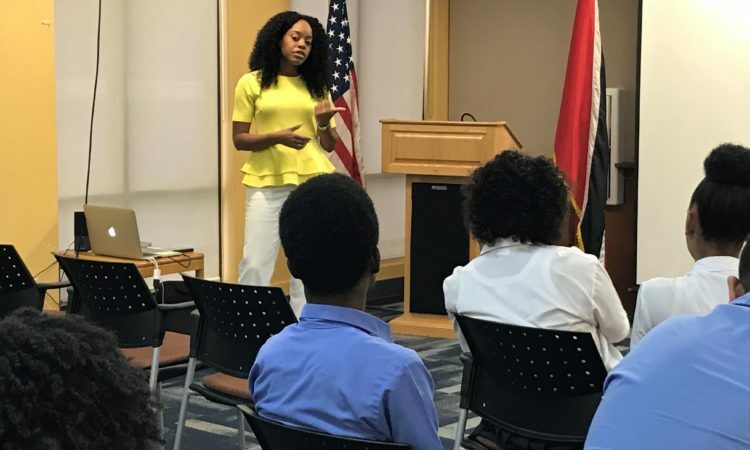 Studying in the U.S. is a great opportunity for students from Trinidad and Tobago to expand their professional and personal horizons. 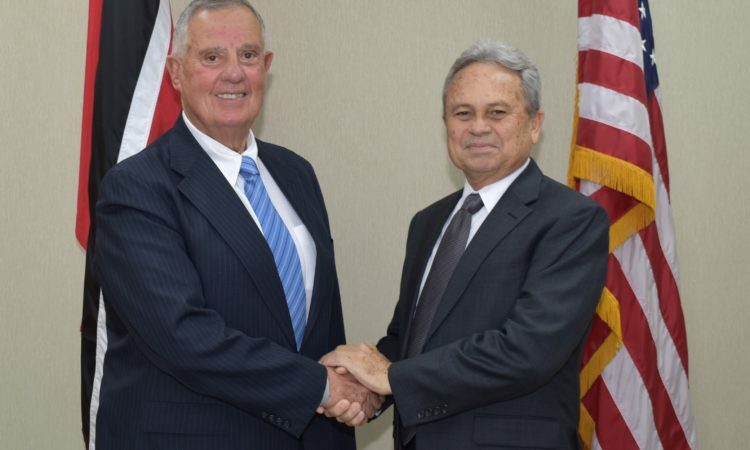 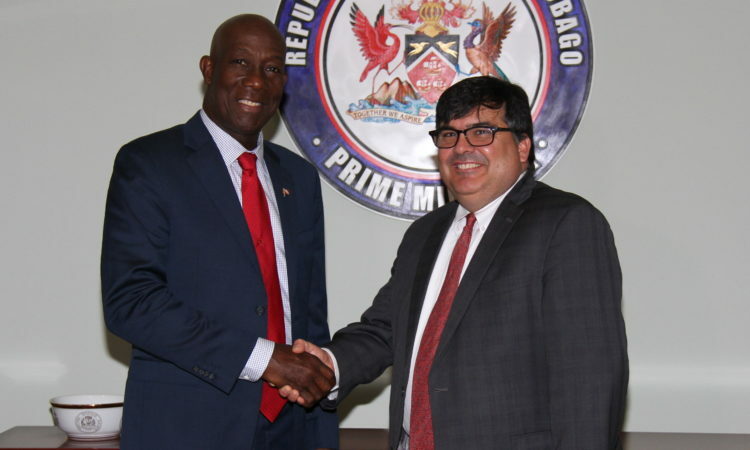 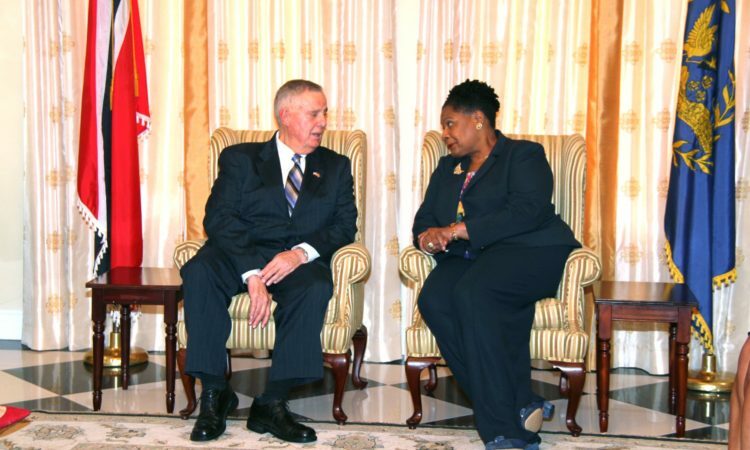 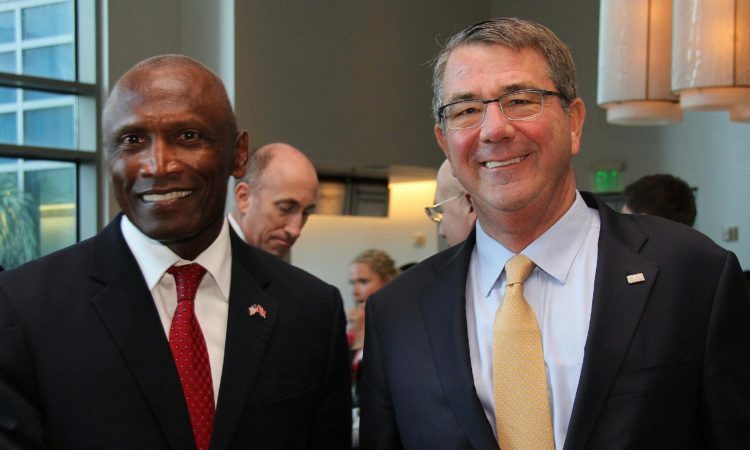 The United States and Trinidad and Tobago are strong partners sharing many common interests, including economic, cultural, and family ties, as well as a commitment to collective security. 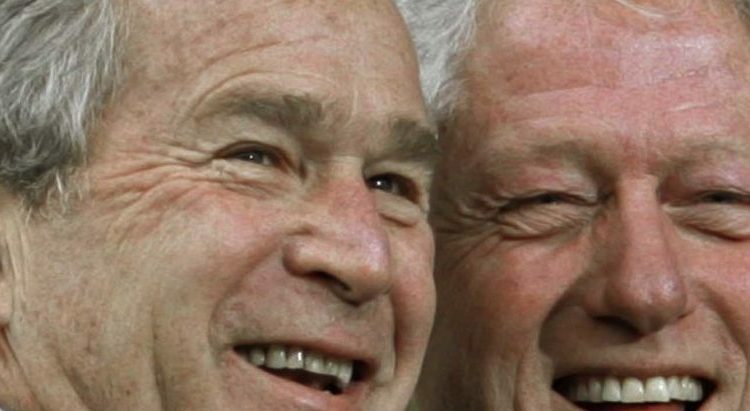 Falling in line with tradition, three former presidents plan to attend Donald Trump’s January 20 inauguration. 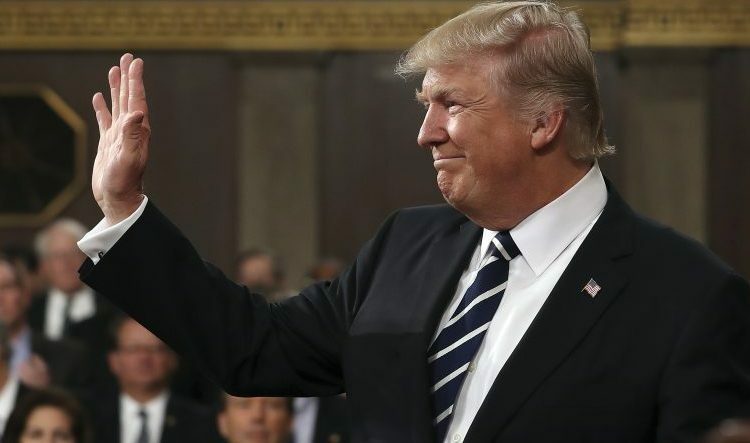 President-elect Donald J. Trump’s inauguration will mean big business for Washington restaurants, and several plan to share the wealth. 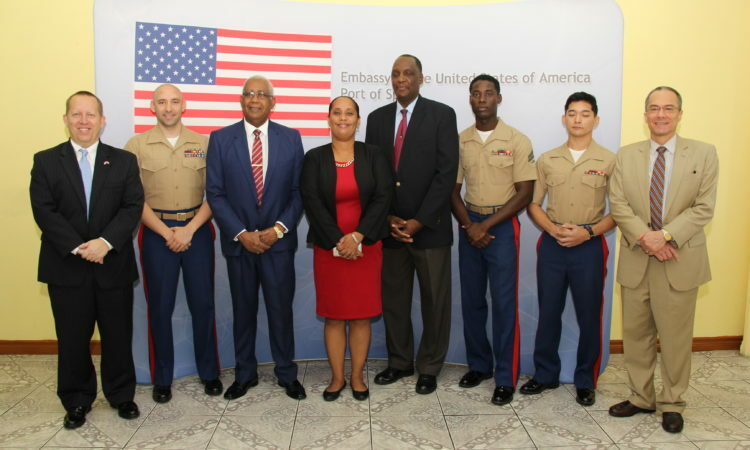 Ambassador John L. Estrada and the staff at U.S. Embassy Port of Spain wish you all a Merry Christmas and Happy Holidays! 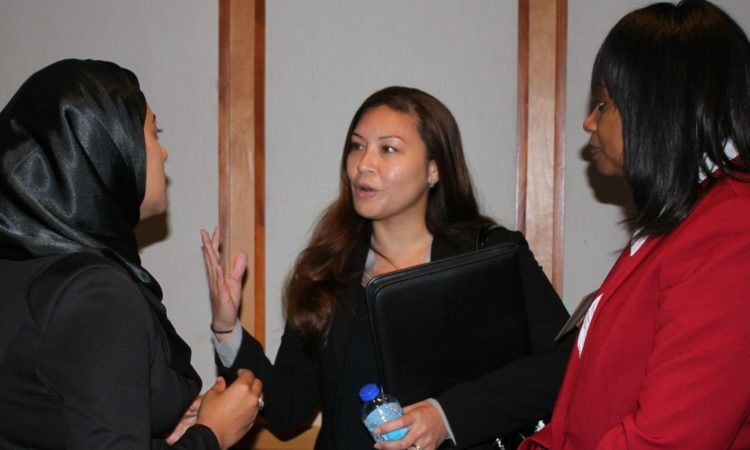 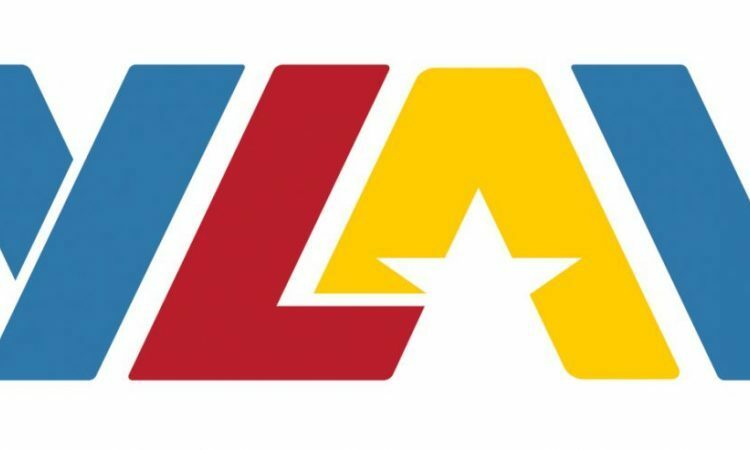 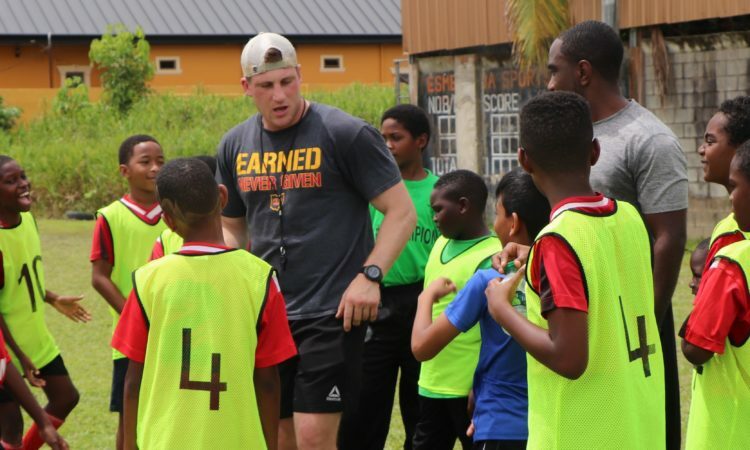 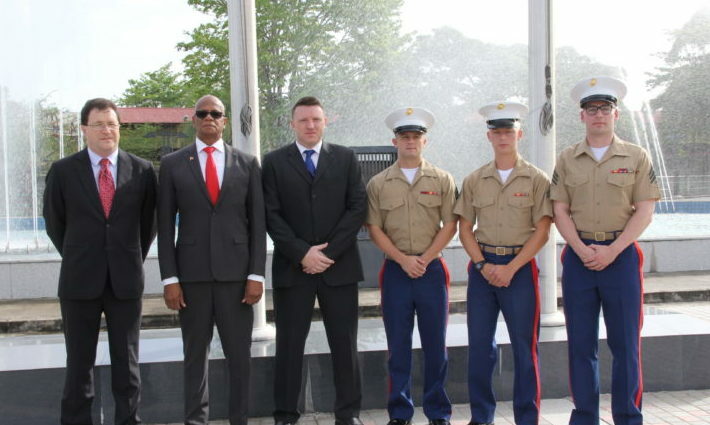 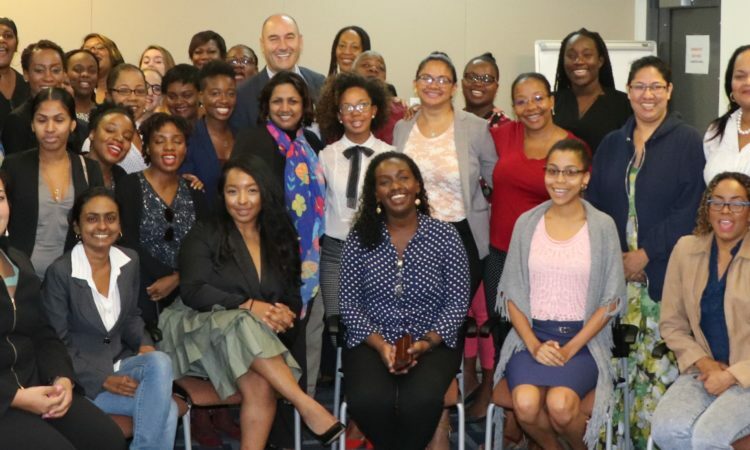 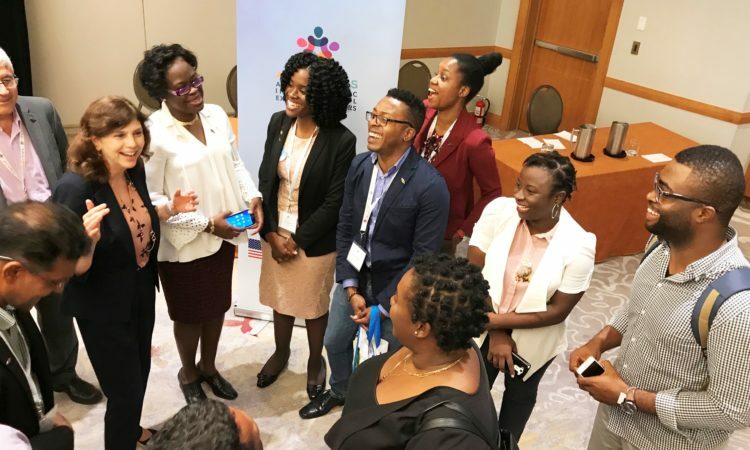 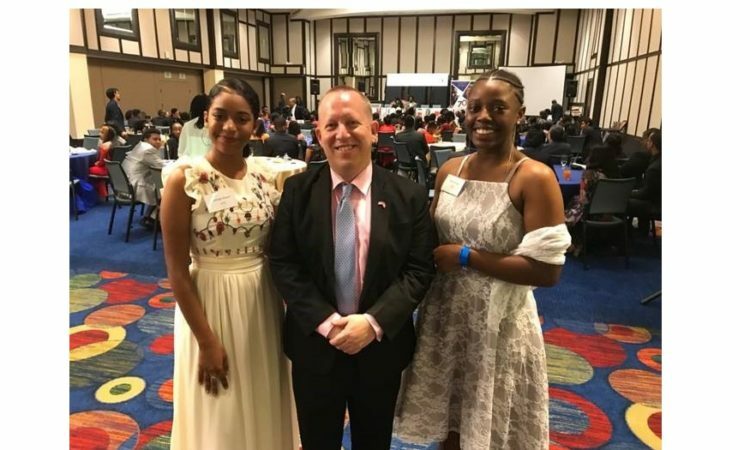 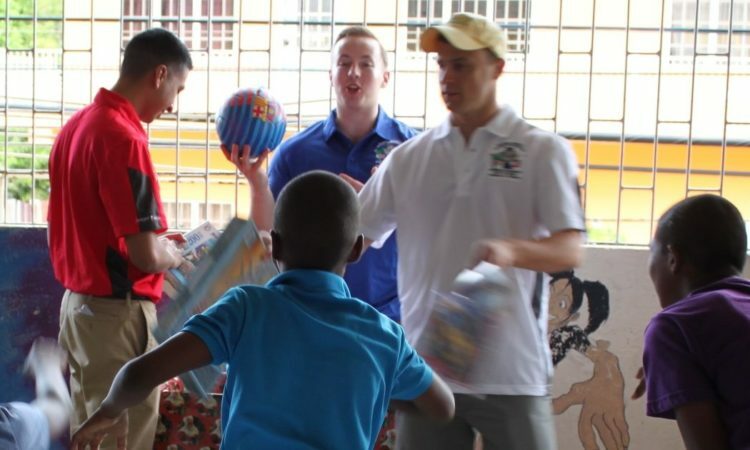 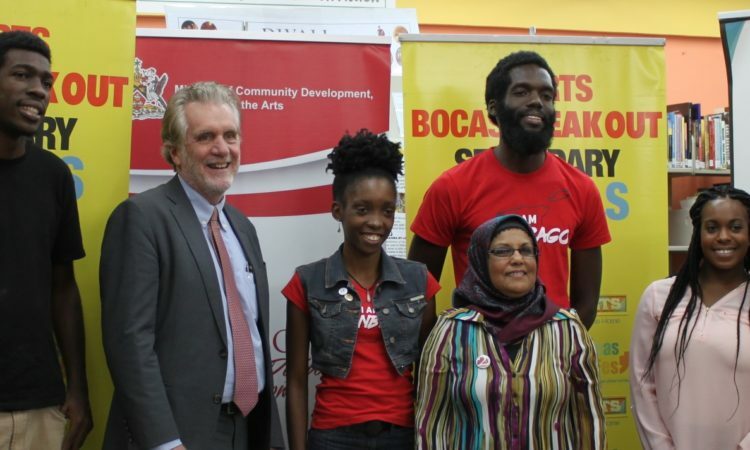 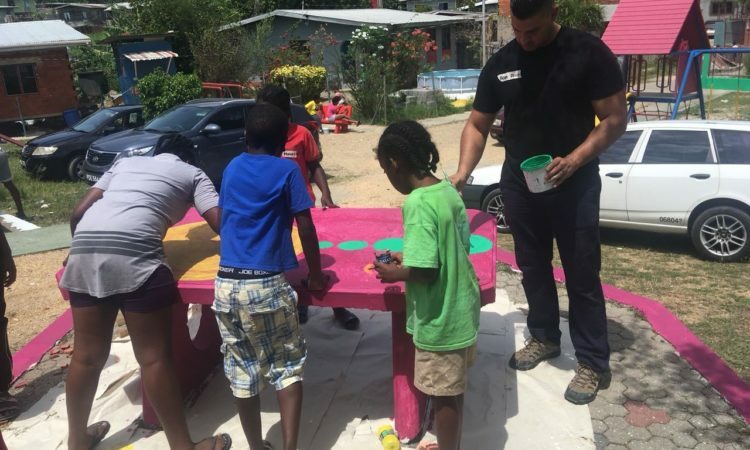 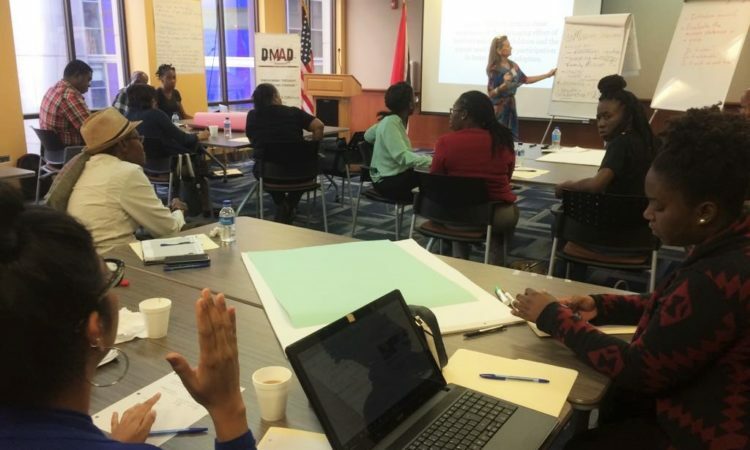 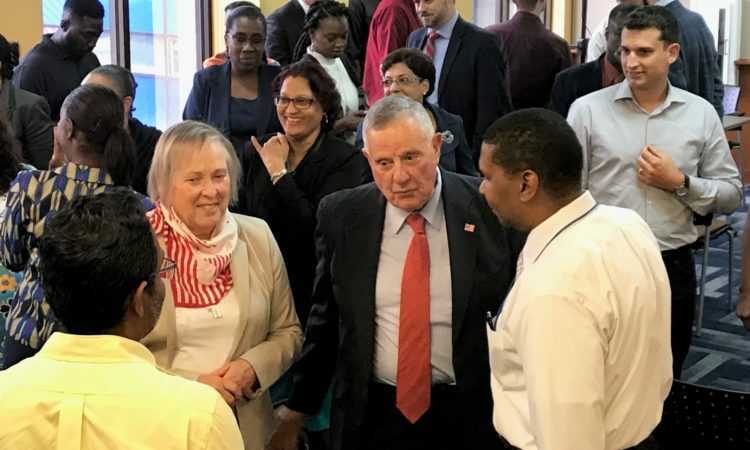 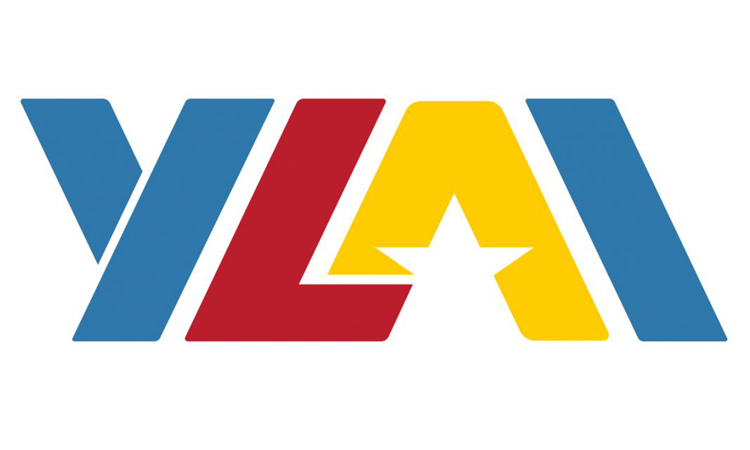 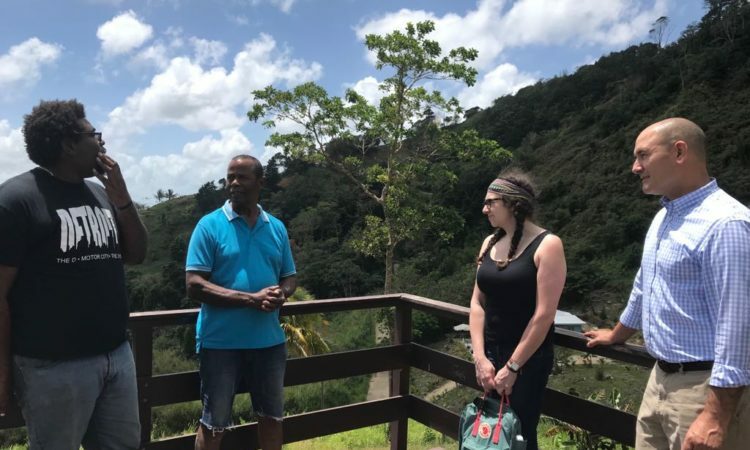 Five Trinidad and Tobago entrepreneurs who participated in the 2016 Young Leaders of the Americas Initiative (YLAI), have returned home with renewed vigor to build their respective businesses and share their experiences and skills through outreach. 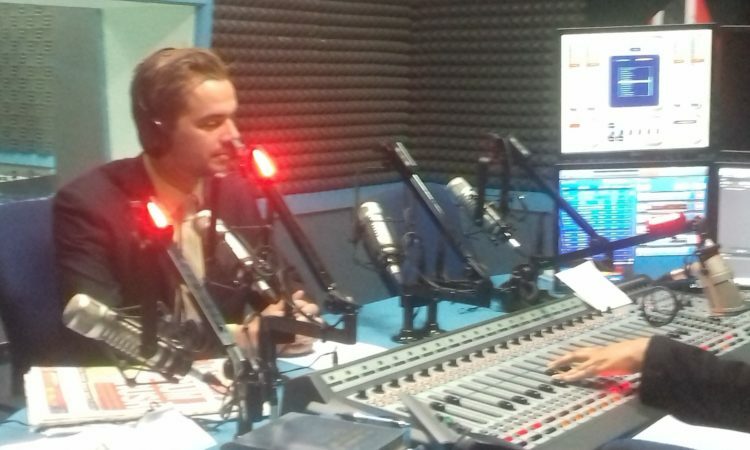 Vice Consul JP Gonzales provided information on the 2018 Diversity Visa Lottery or Green Card Lottery which is currently open until noon November 7, during an interview on Sky 99.5 FM. 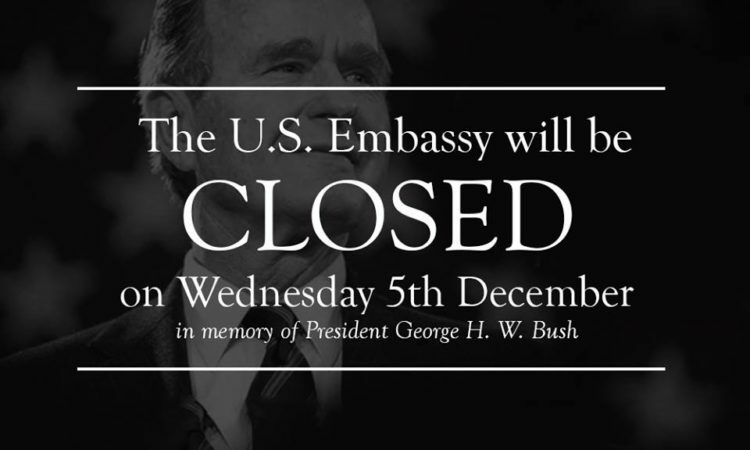 If you missed it, here’s another chance . 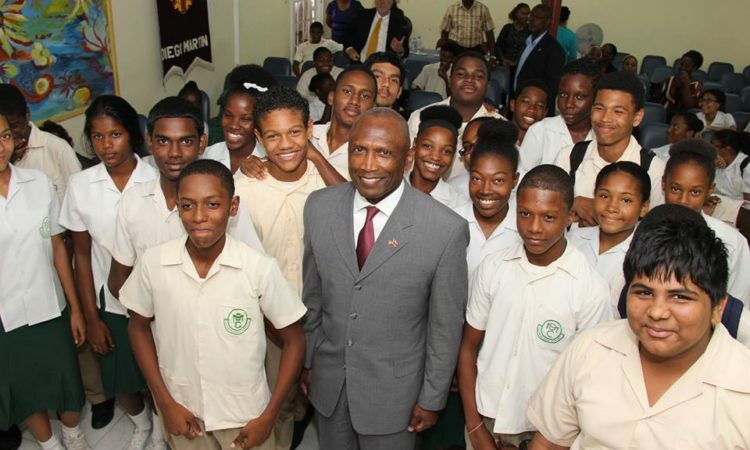 On this joyous day, I offer my best wishes for your prosperity and happiness in the year to come. 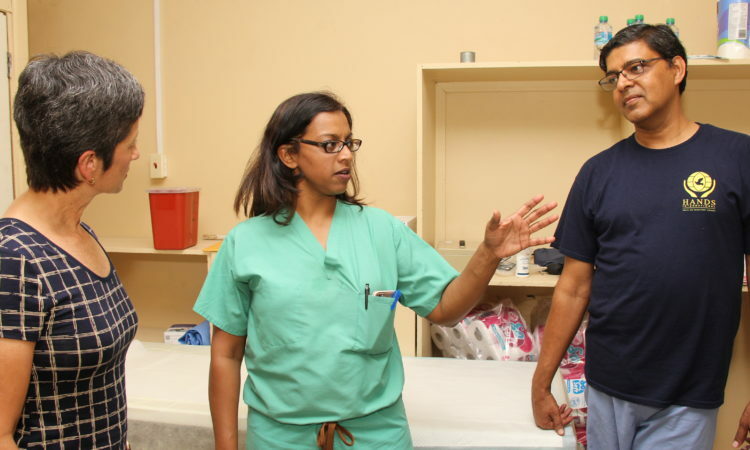 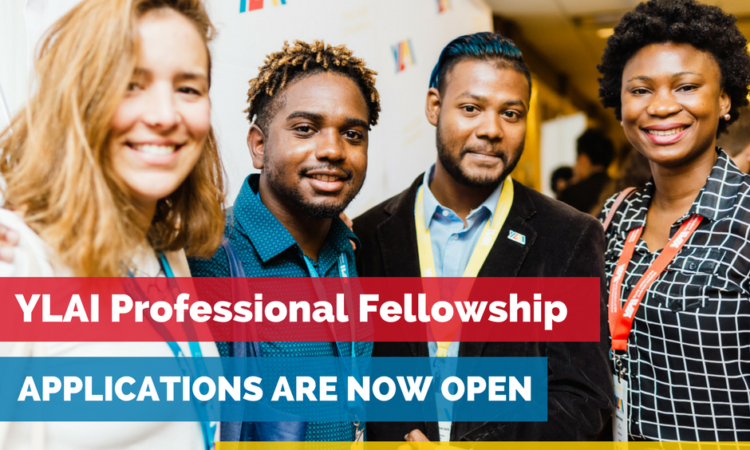 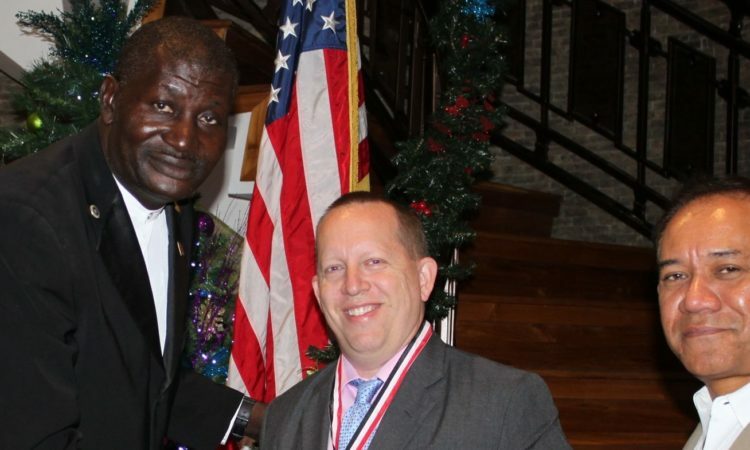 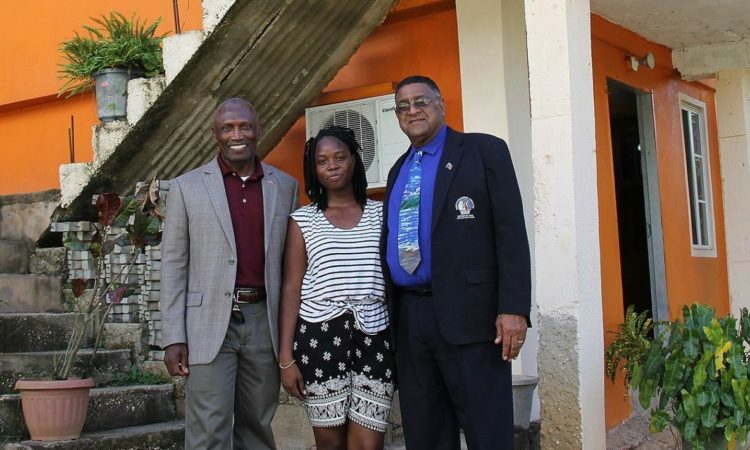 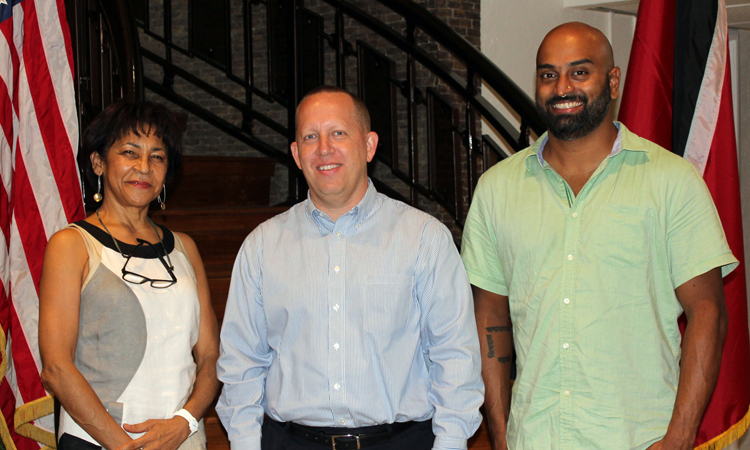 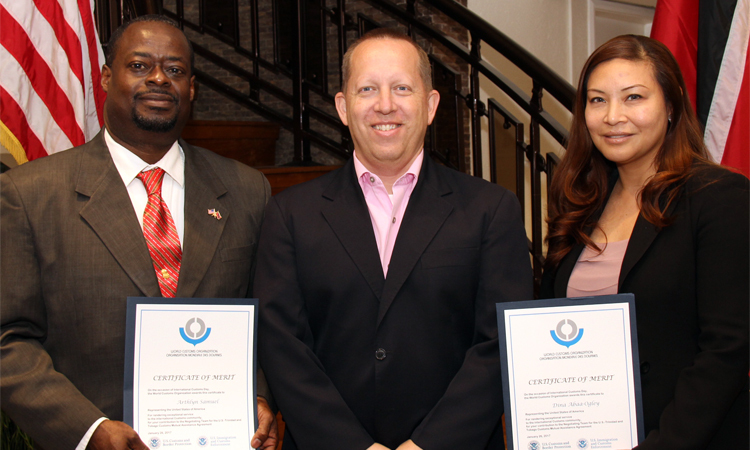 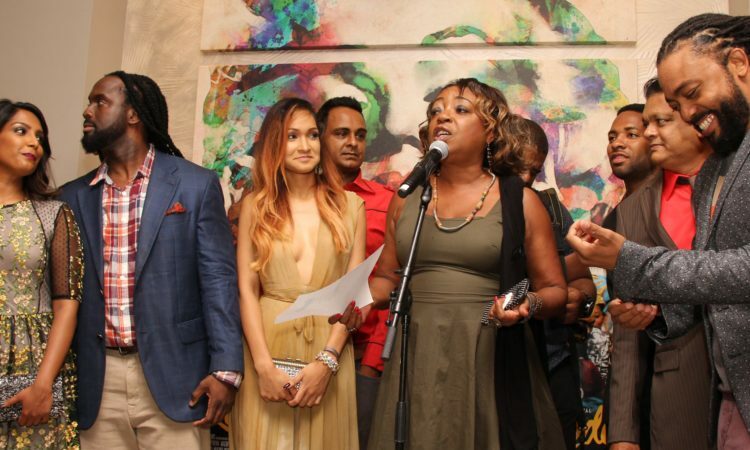 Five Trinidad and Tobago nationals are among the 2016 Fellows.